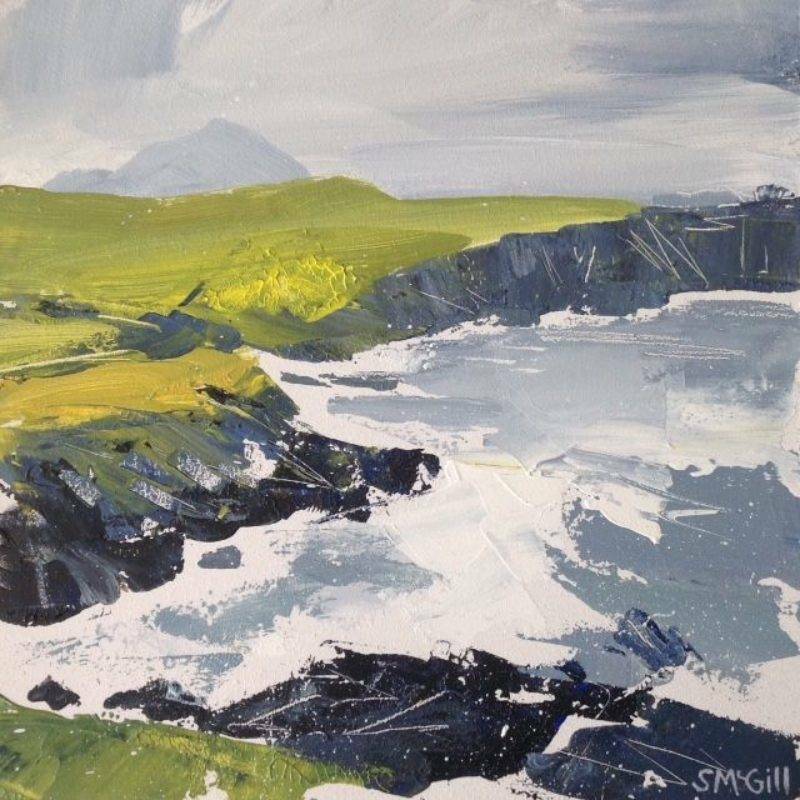 Sian McGill was born on St Davids Day 1973 in Pontypool, South Wales. 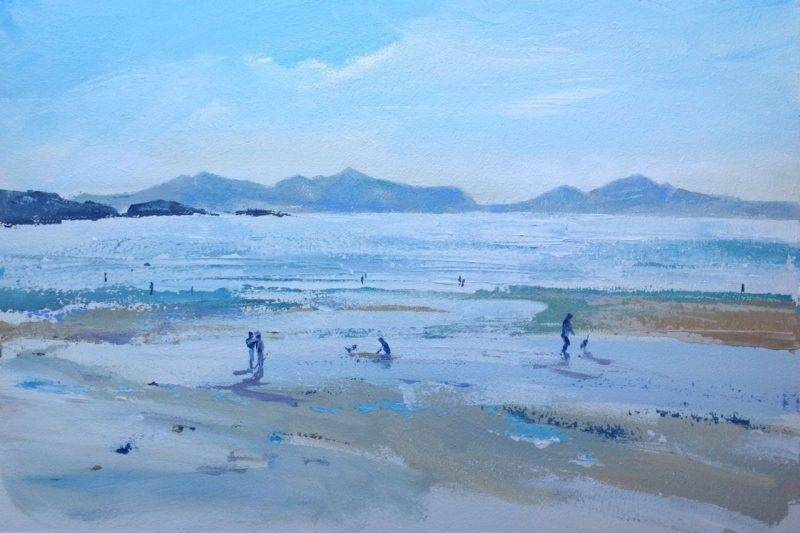 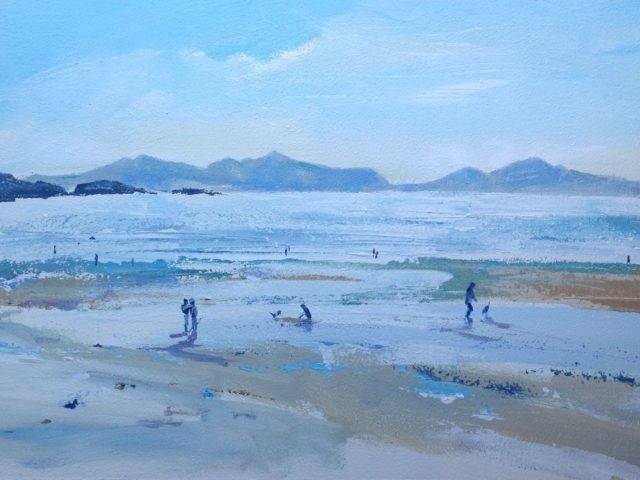 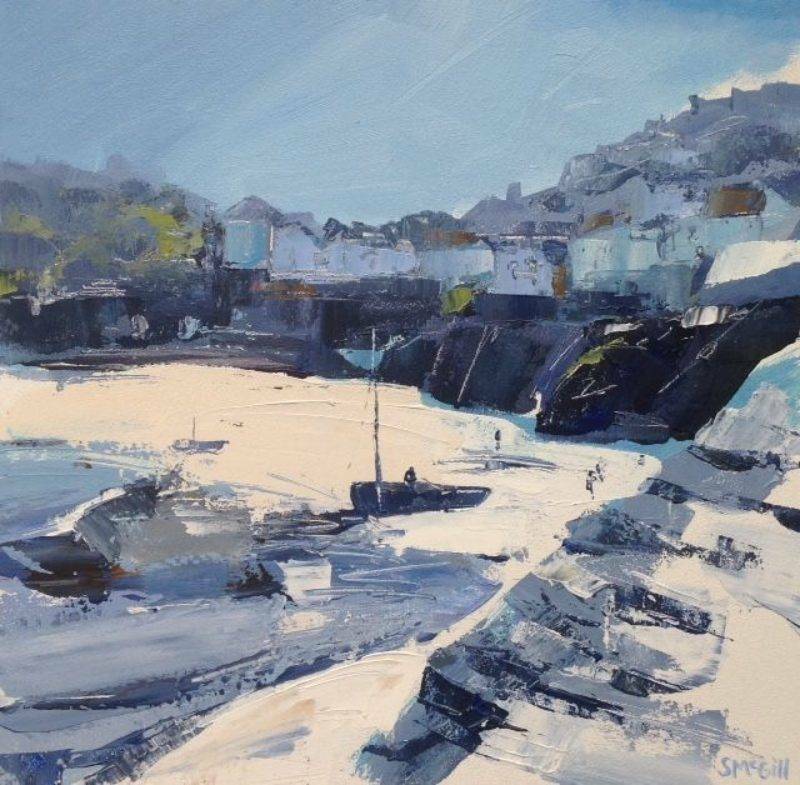 After gaining a degree in English at Swansea University , she returned to a childhood love of art, pursuing this alongside bringing up her young family. 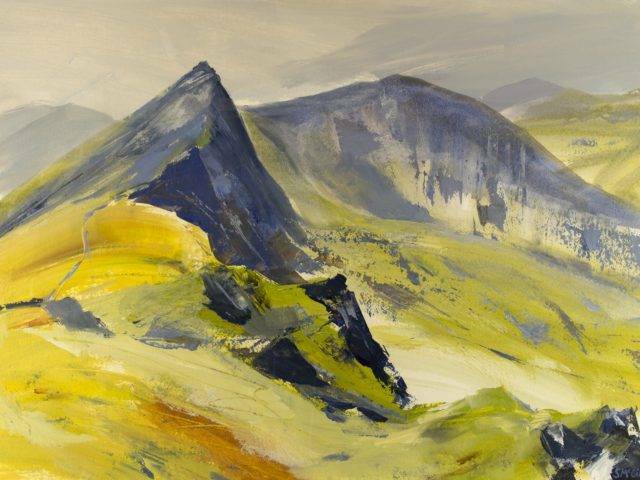 Painting soon became a passion and went on to become a full time occupation. 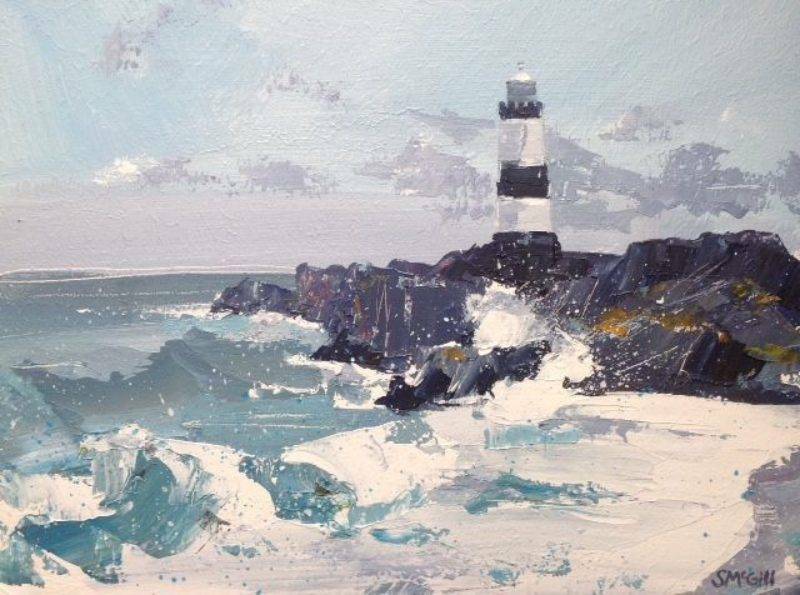 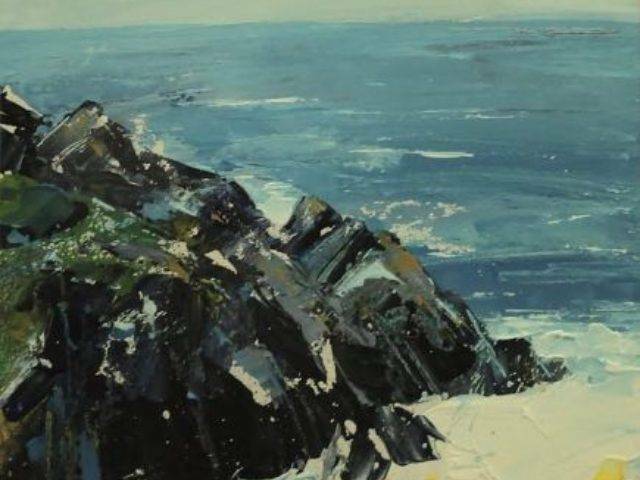 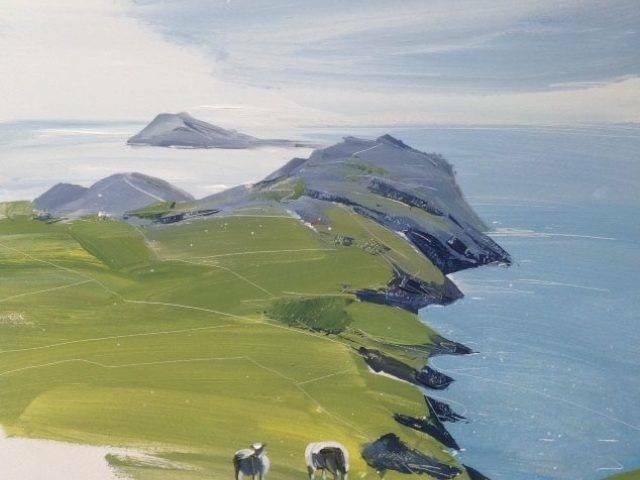 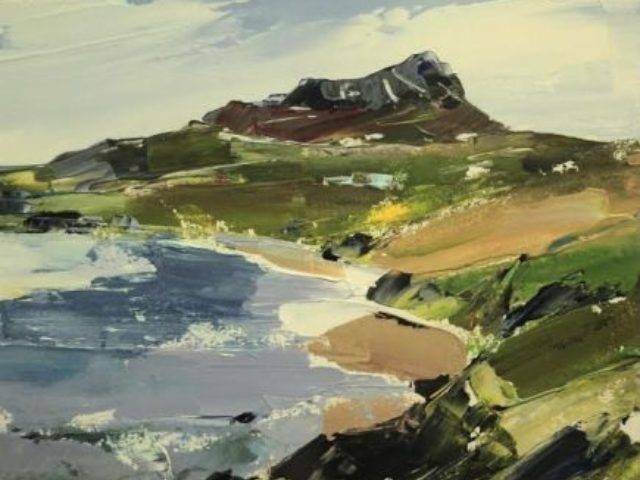 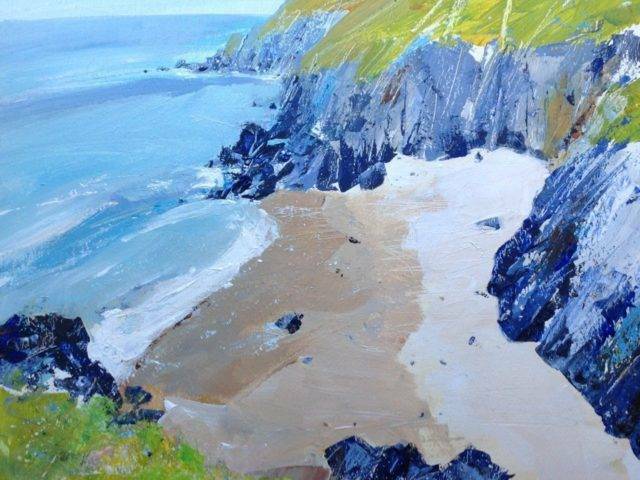 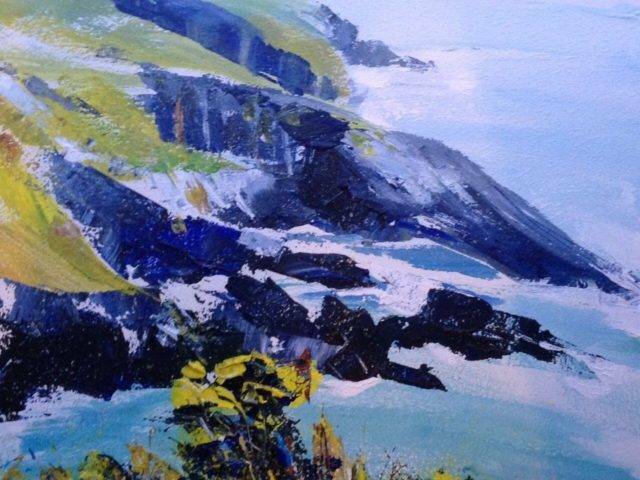 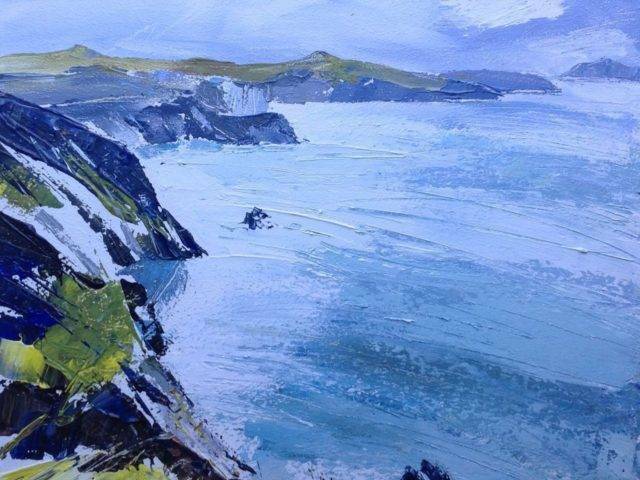 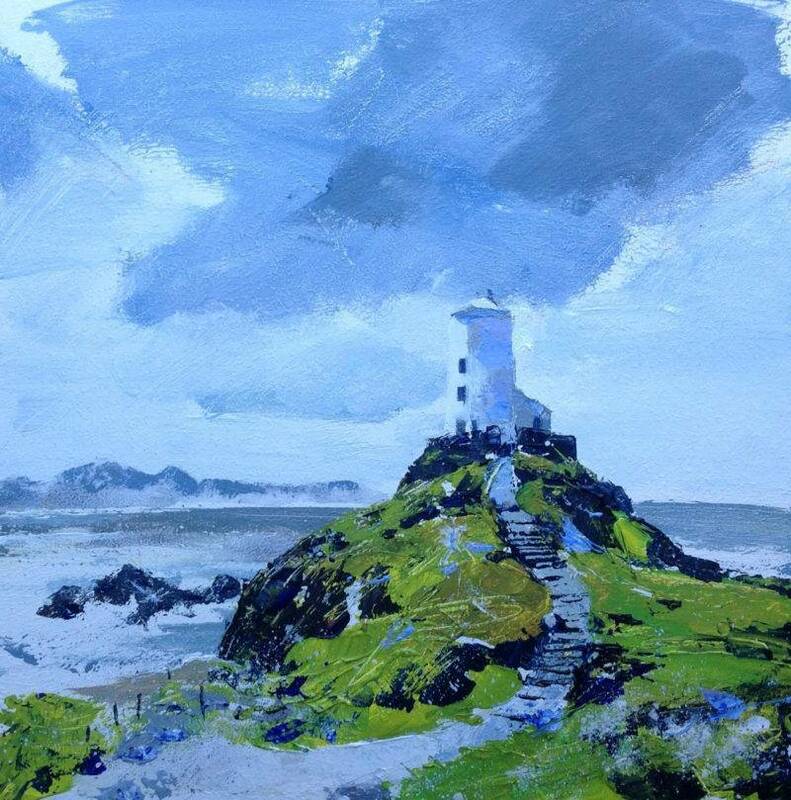 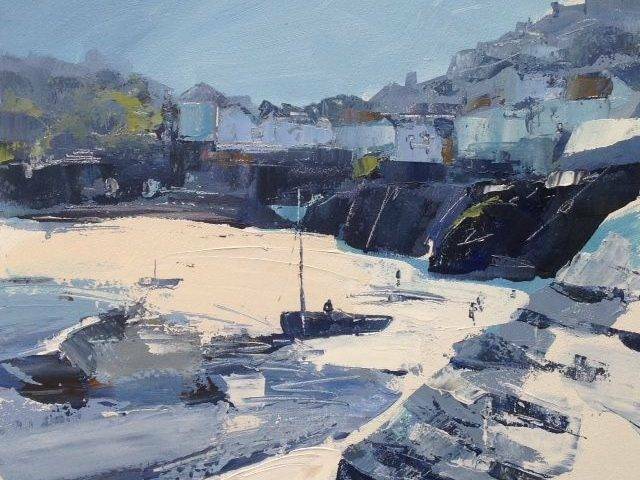 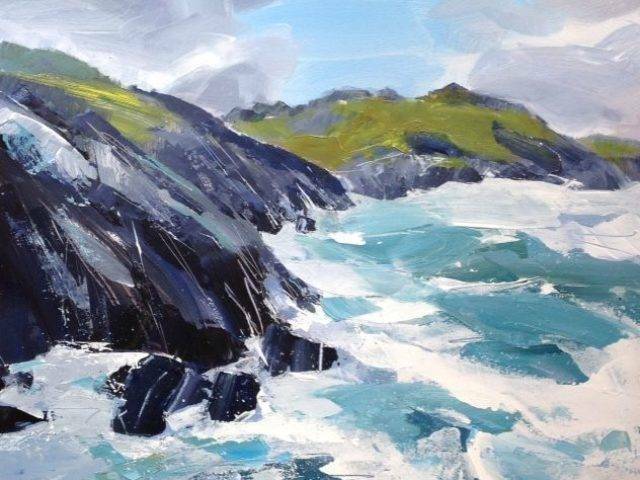 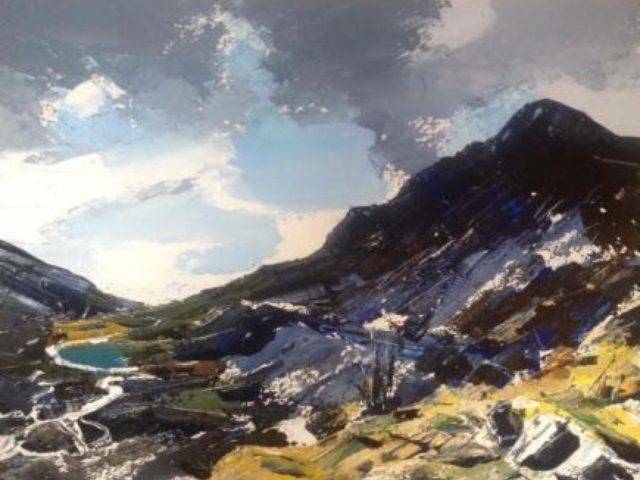 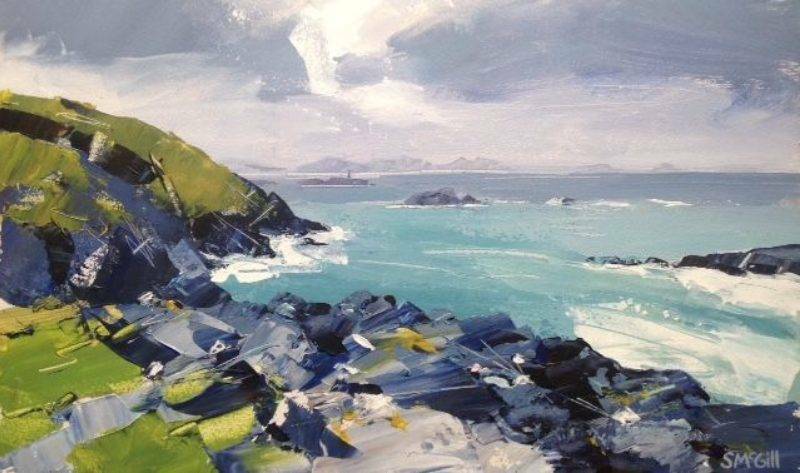 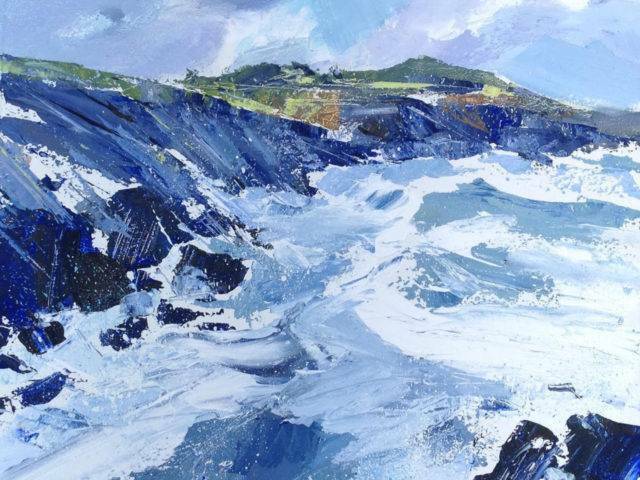 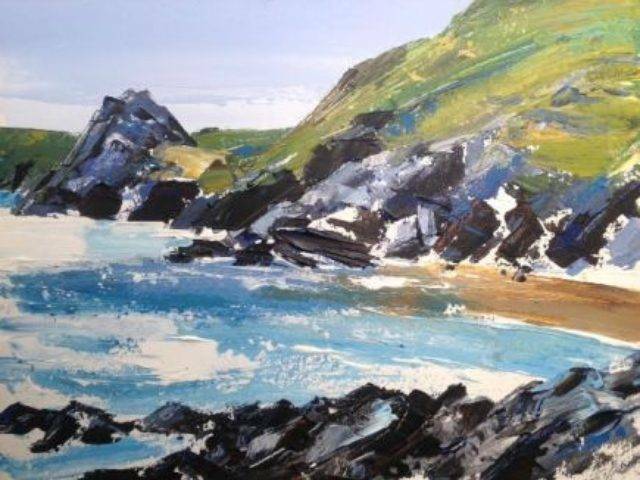 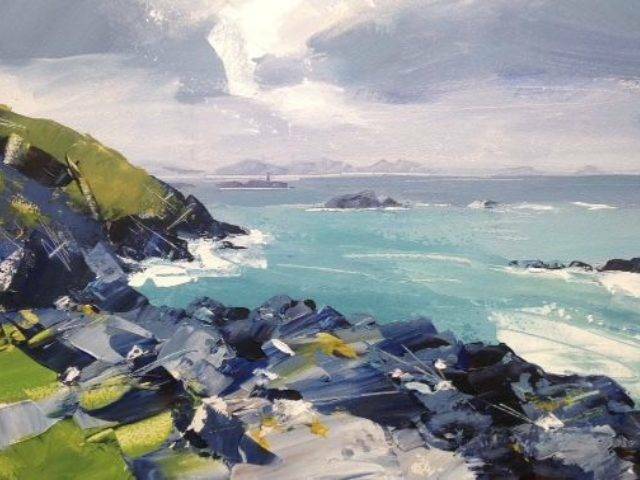 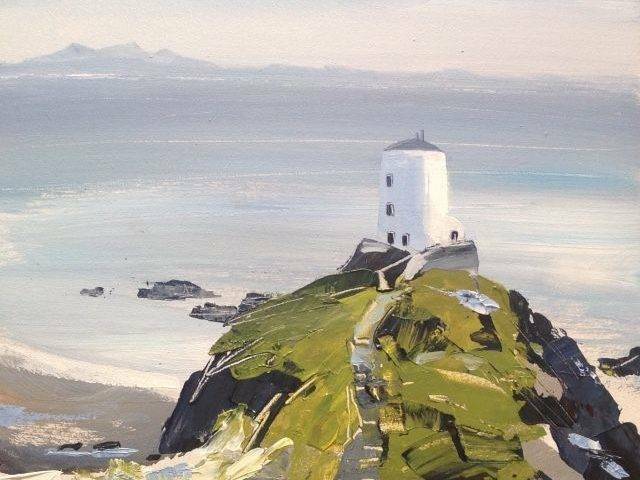 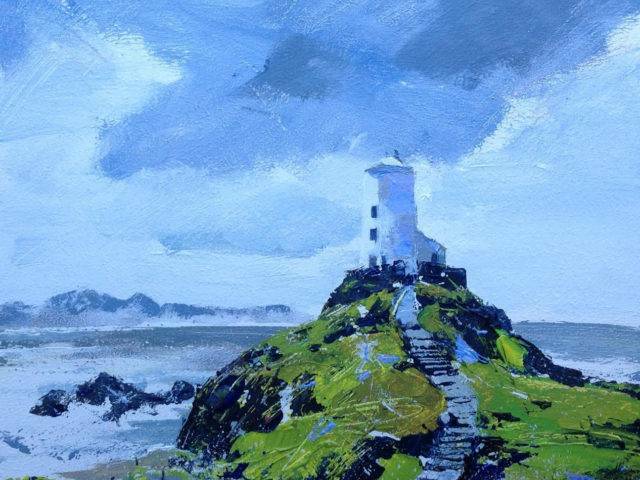 She now regularly exhibits at galleries in Wales and Cornwall, and has also had work selected for the Royal Cambrian Academy. 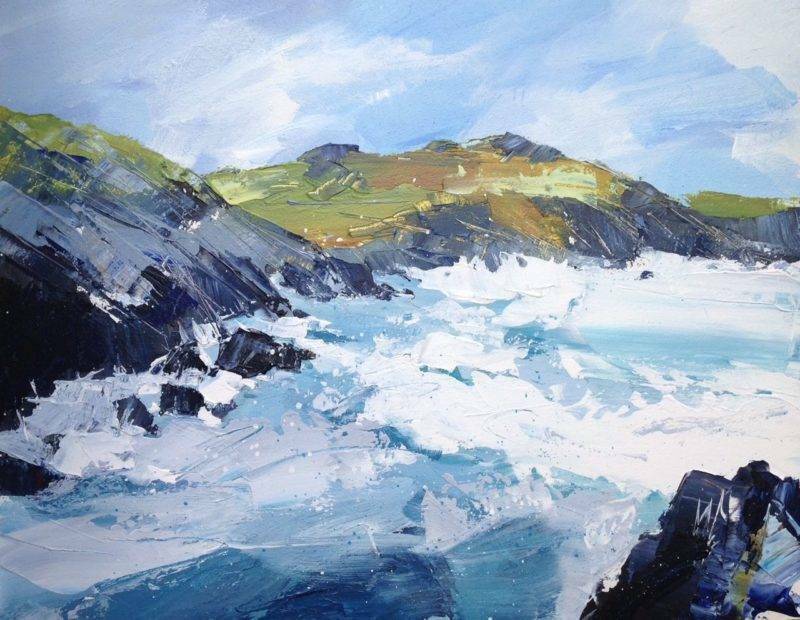 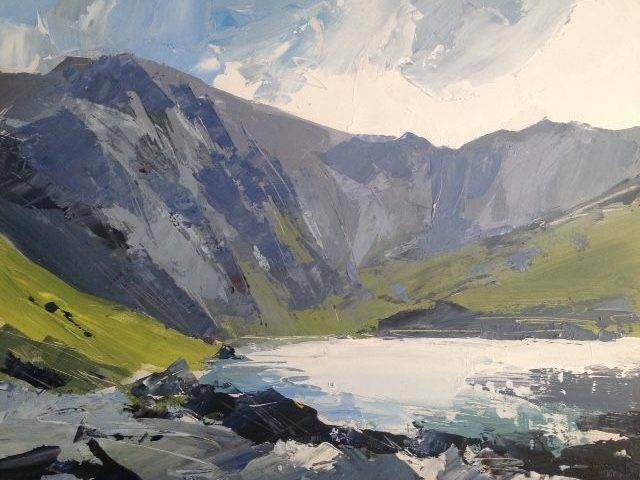 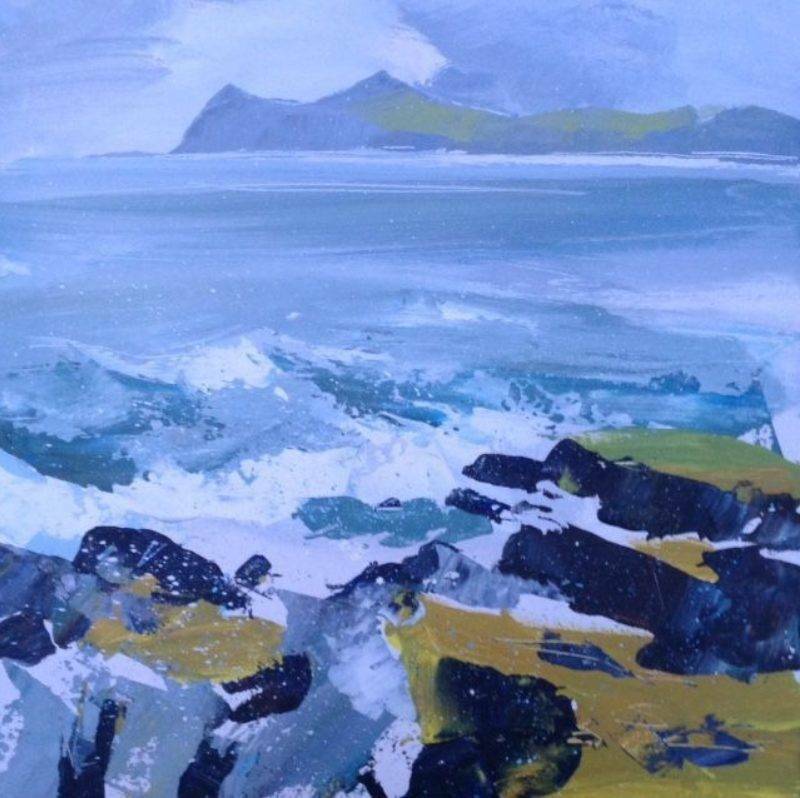 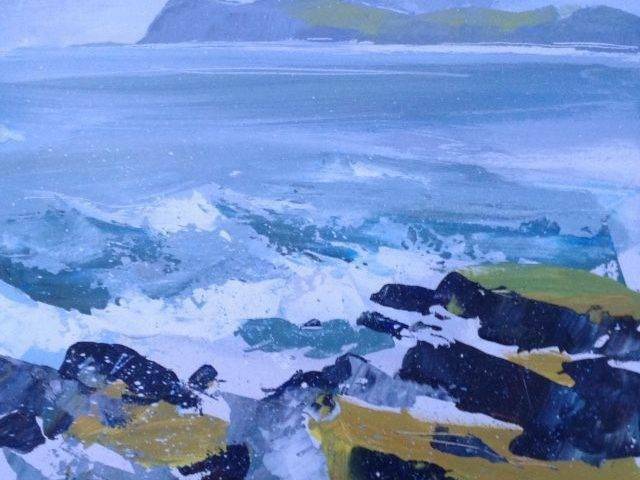 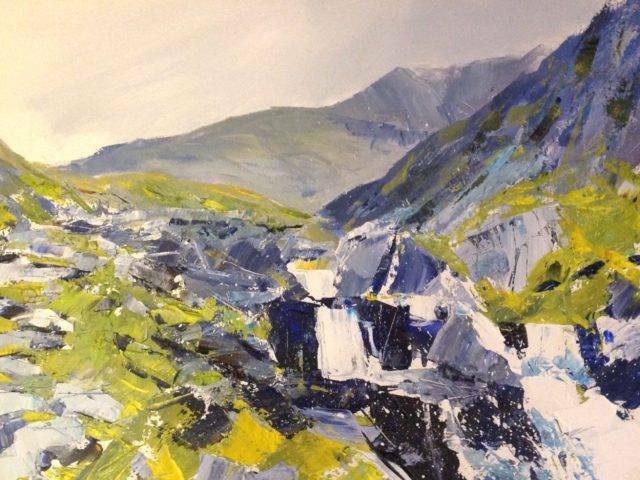 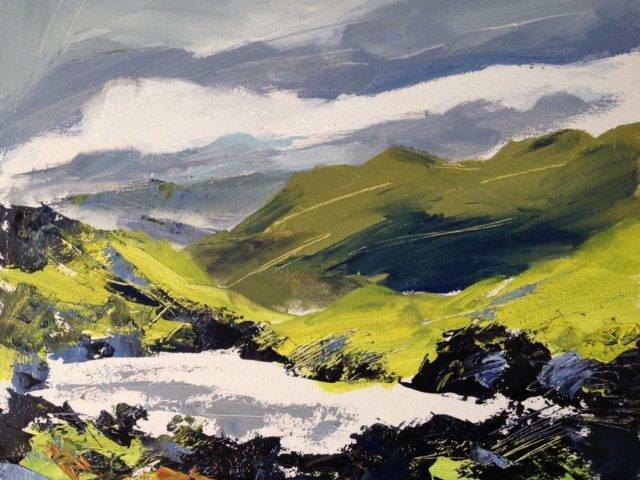 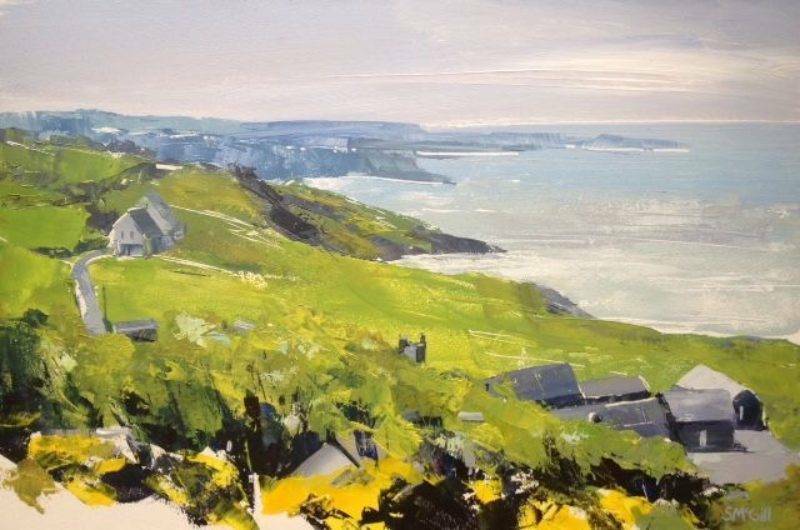 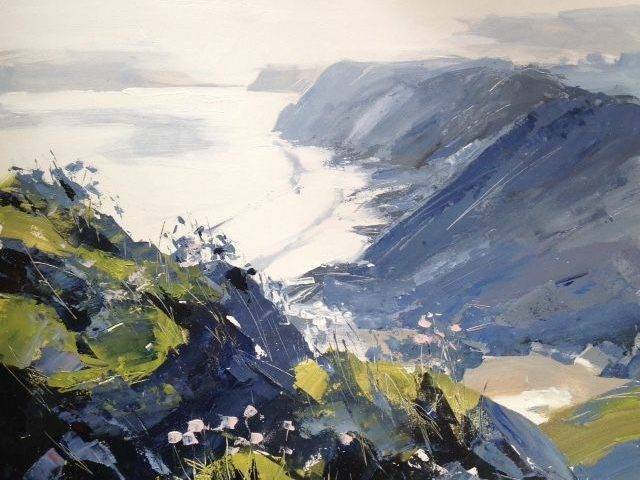 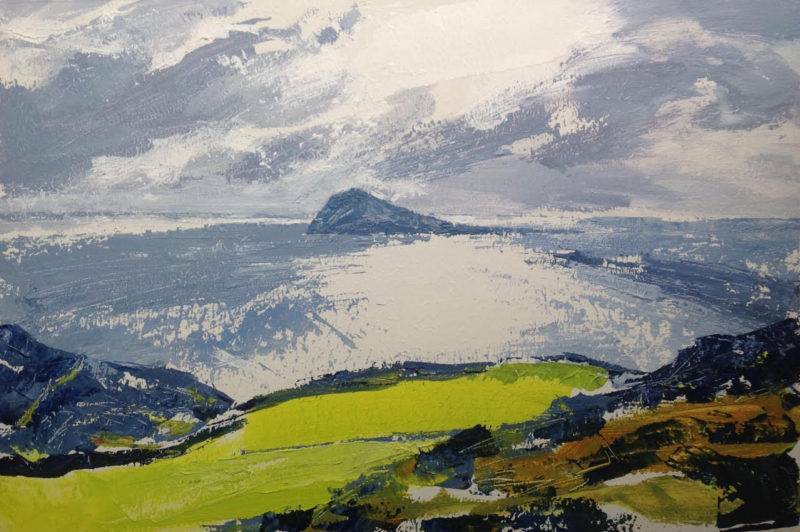 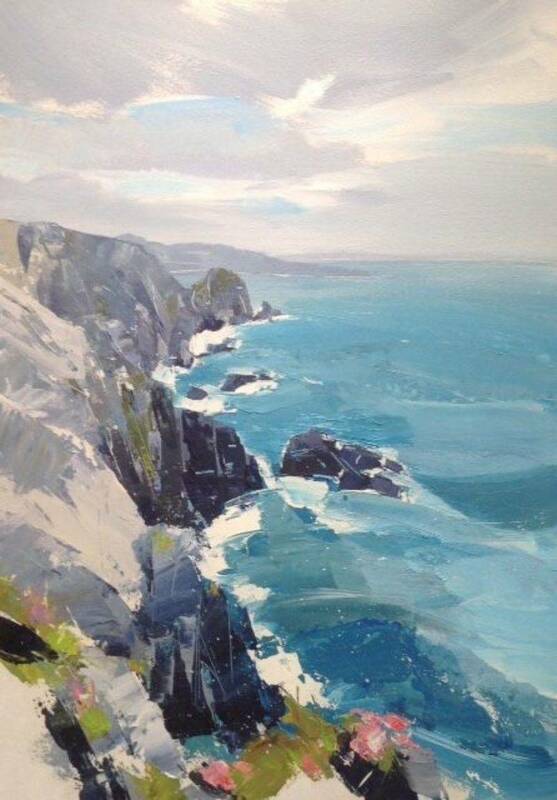 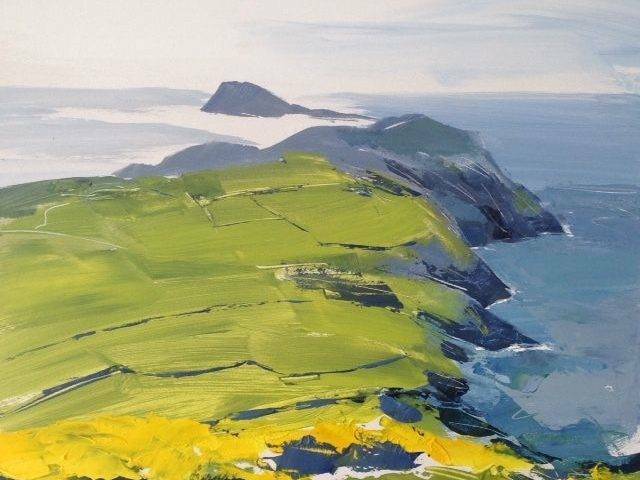 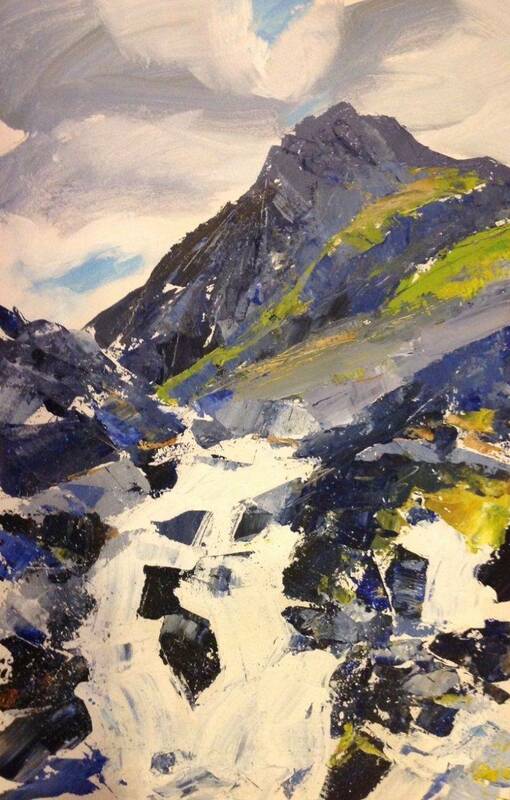 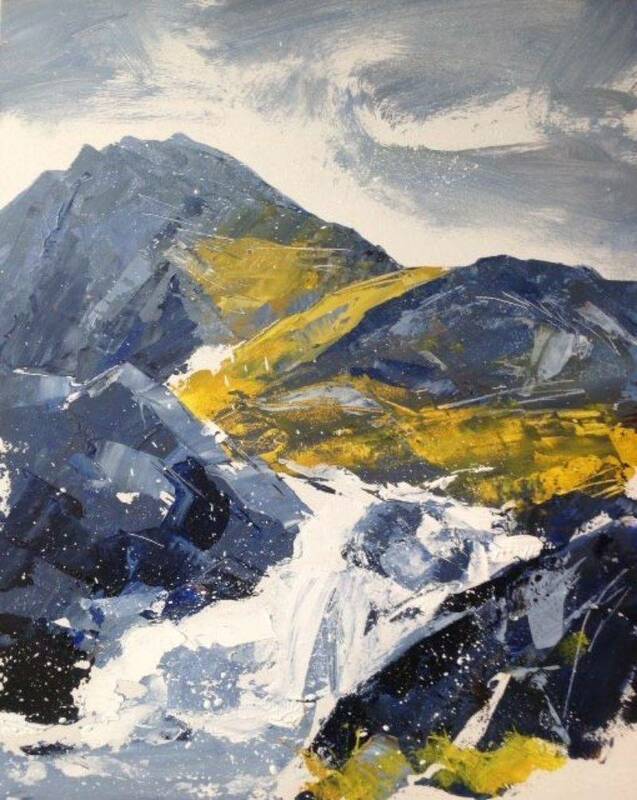 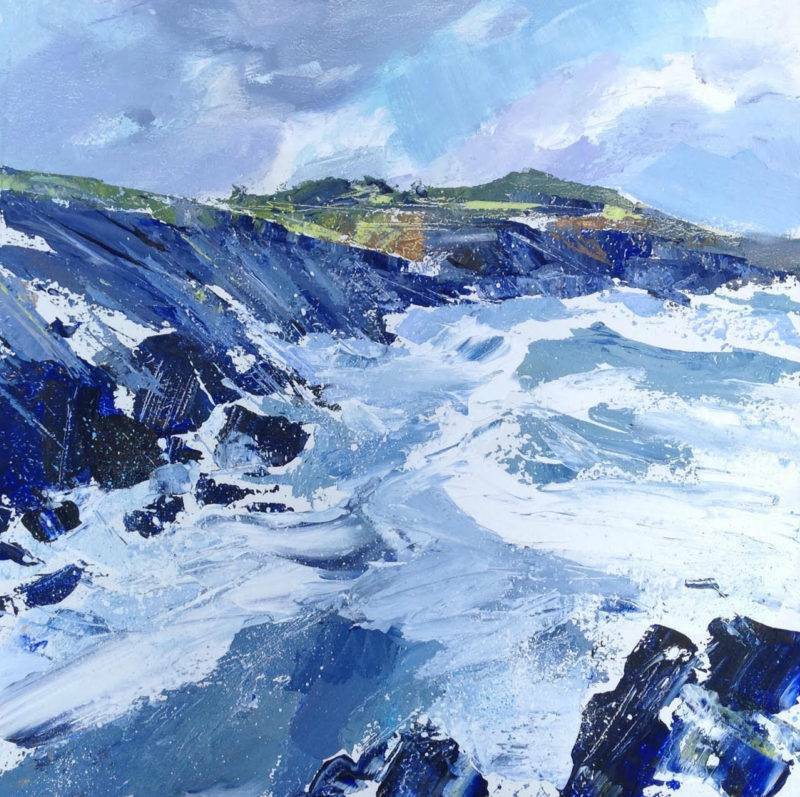 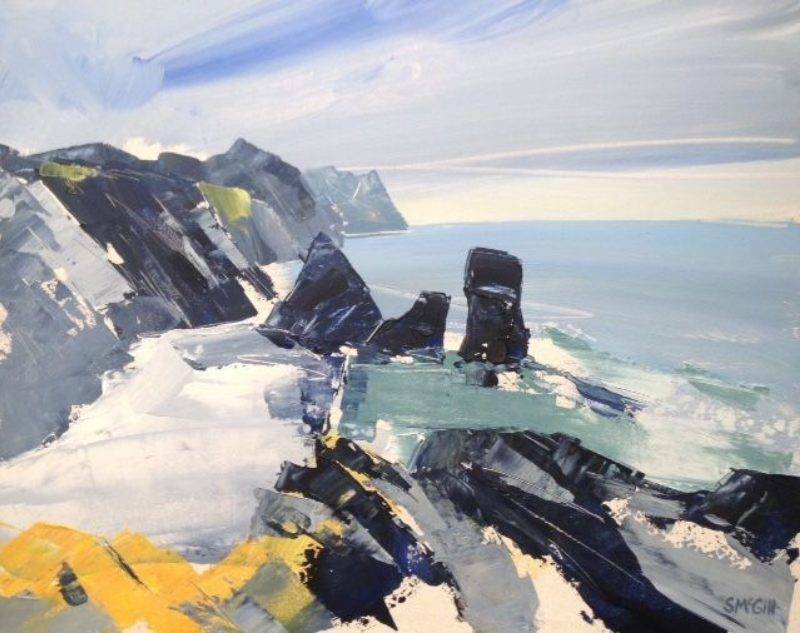 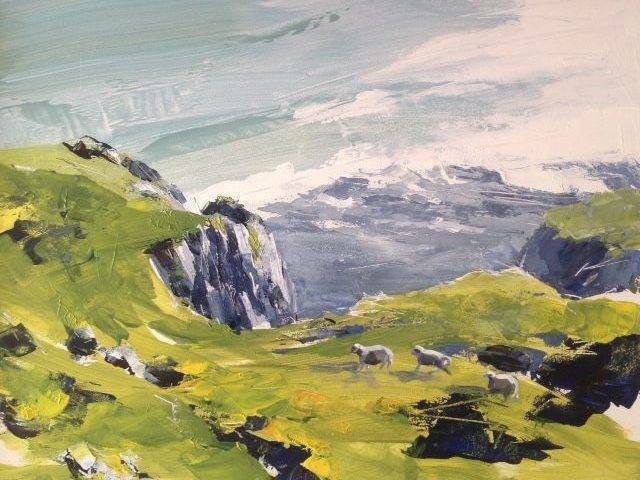 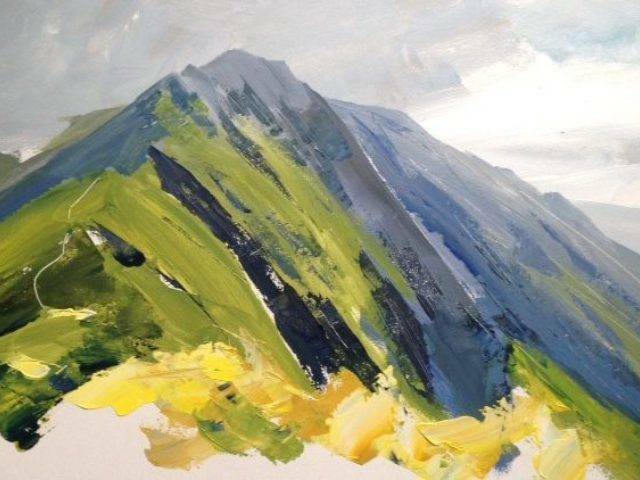 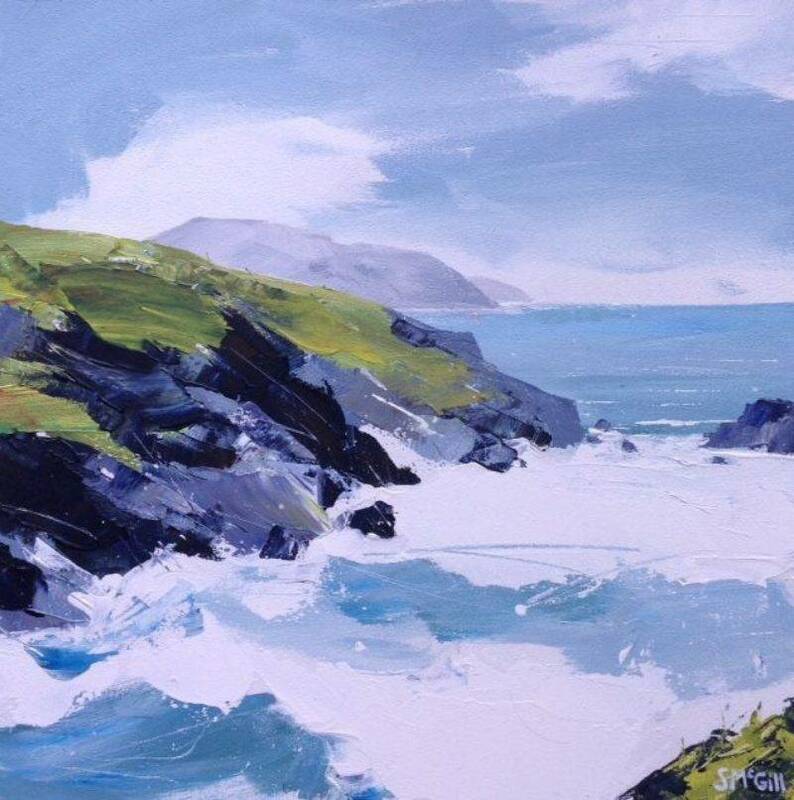 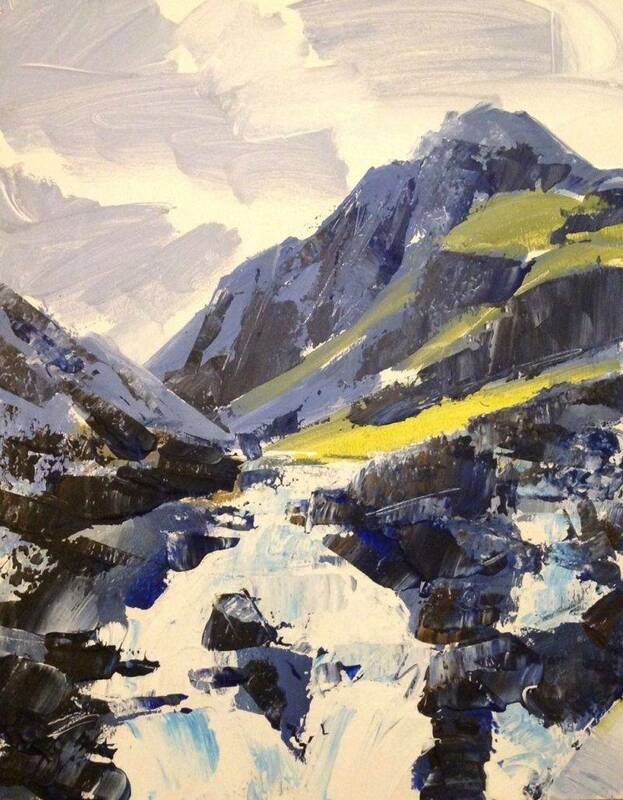 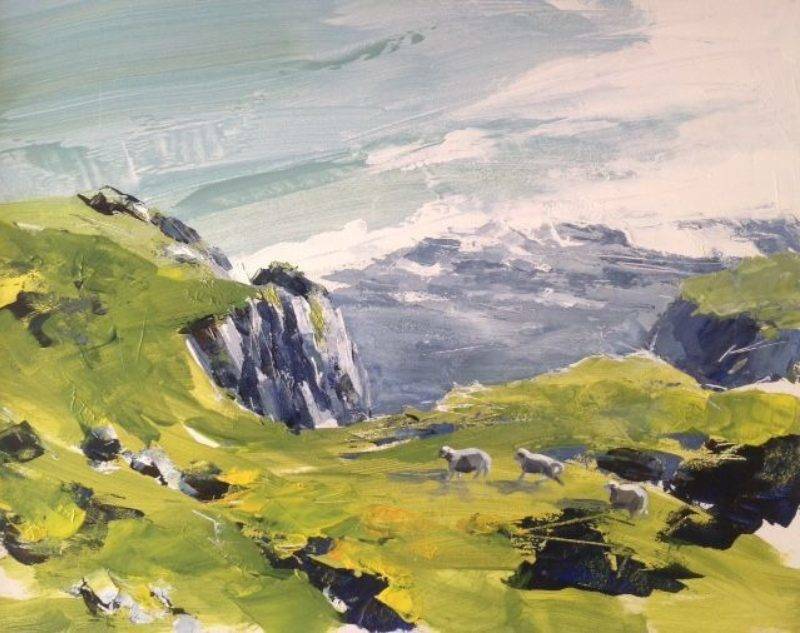 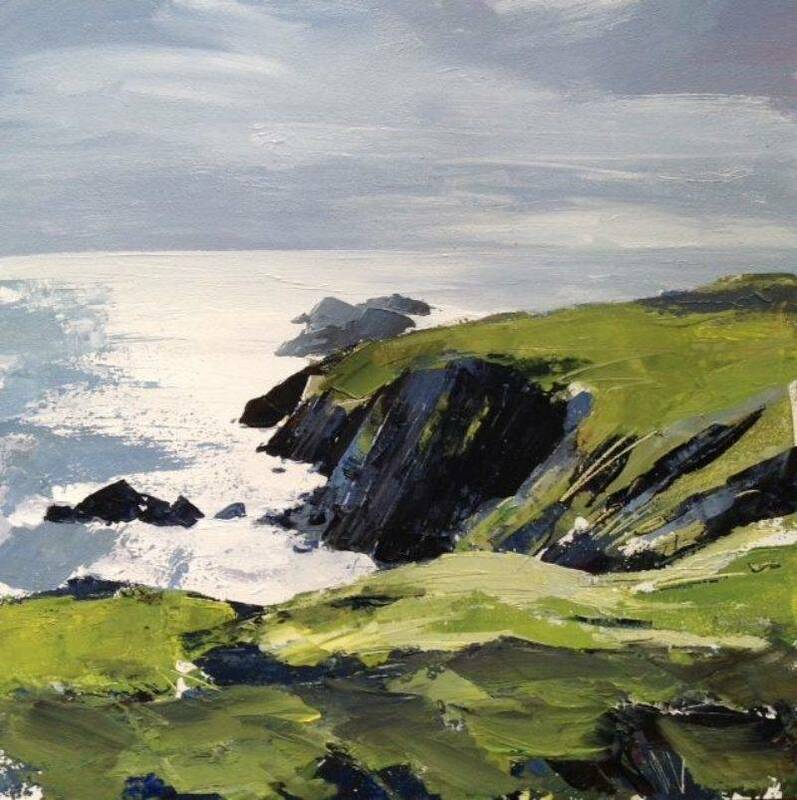 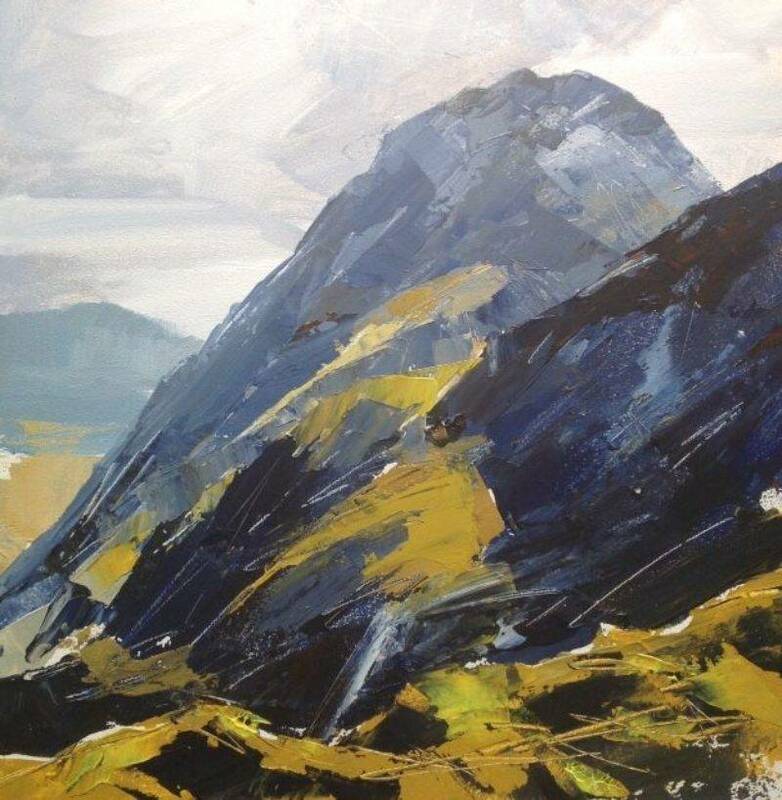 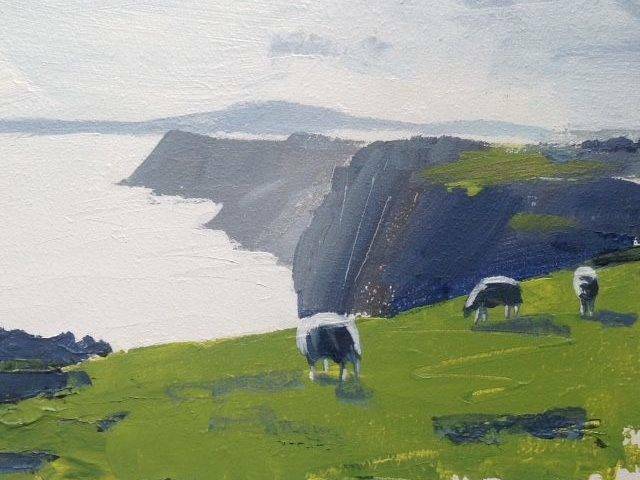 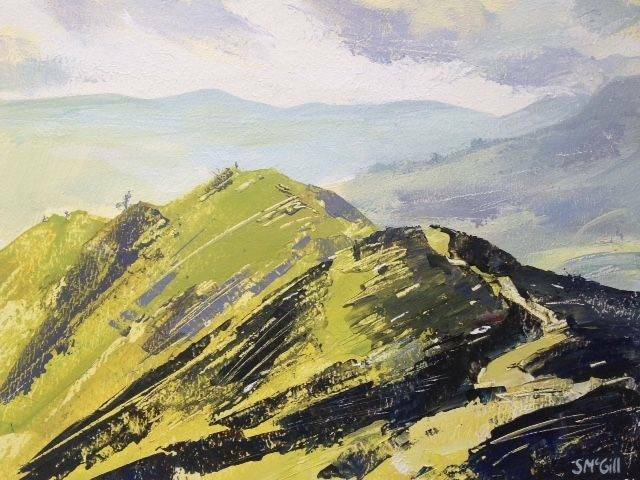 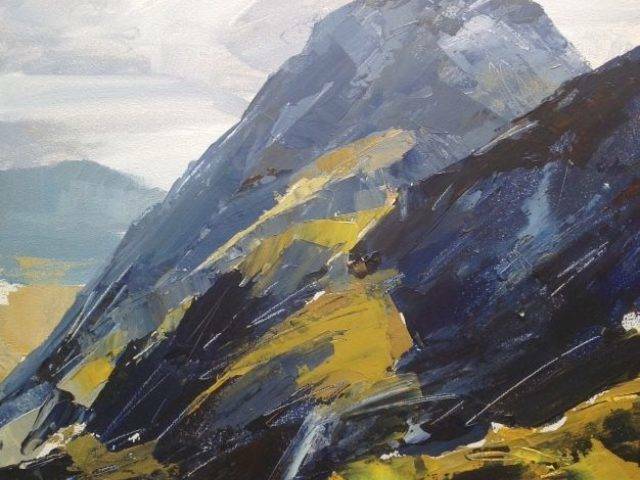 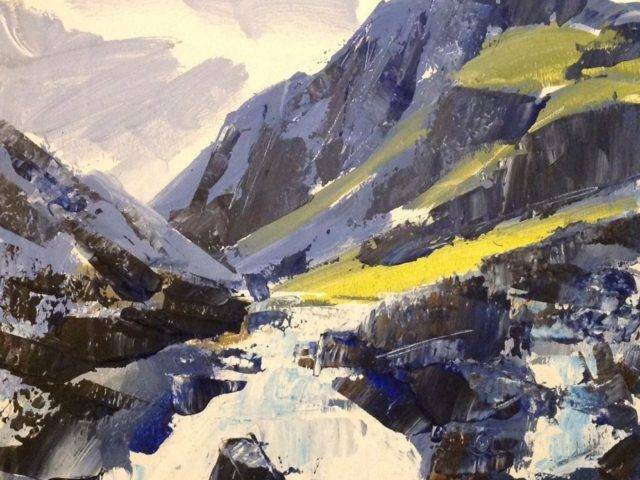 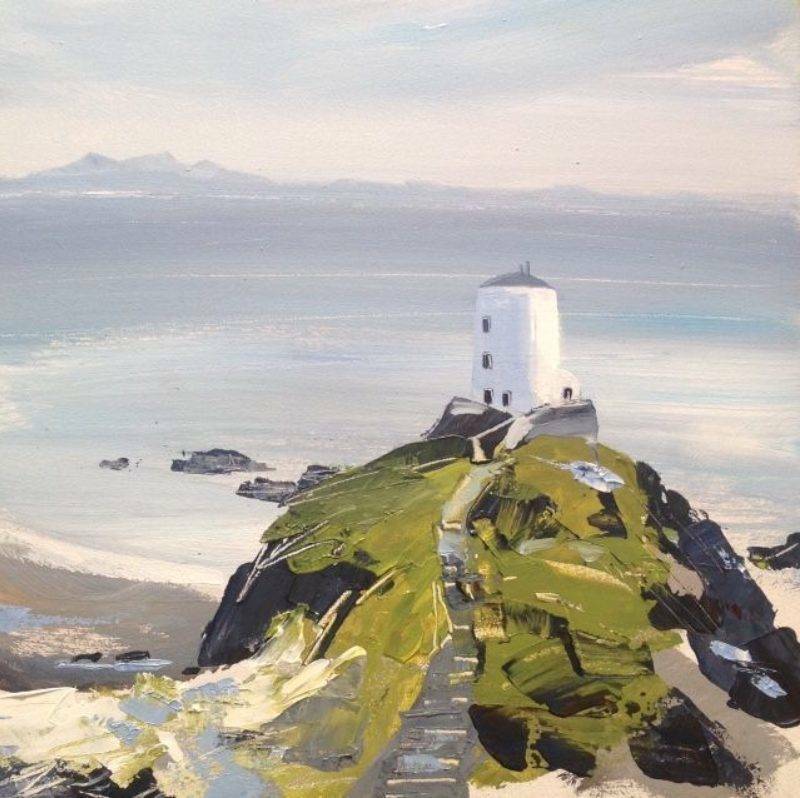 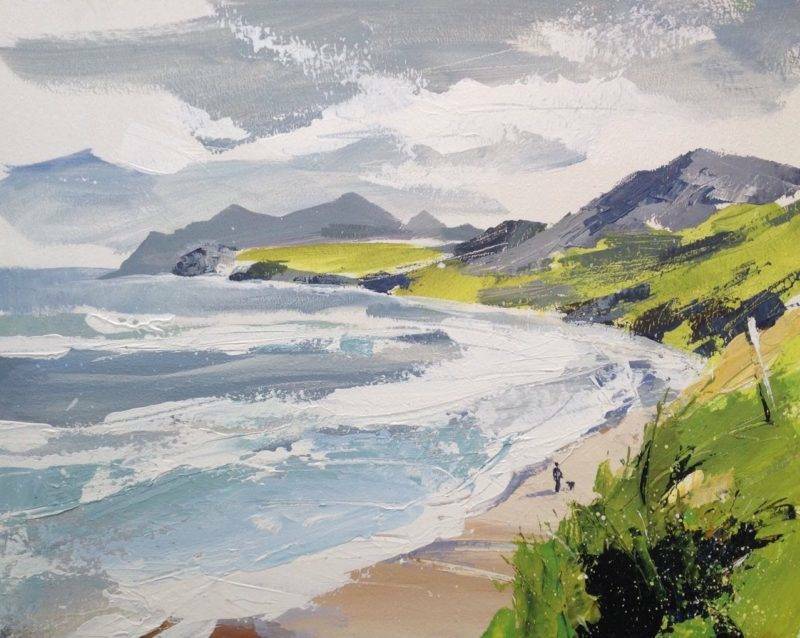 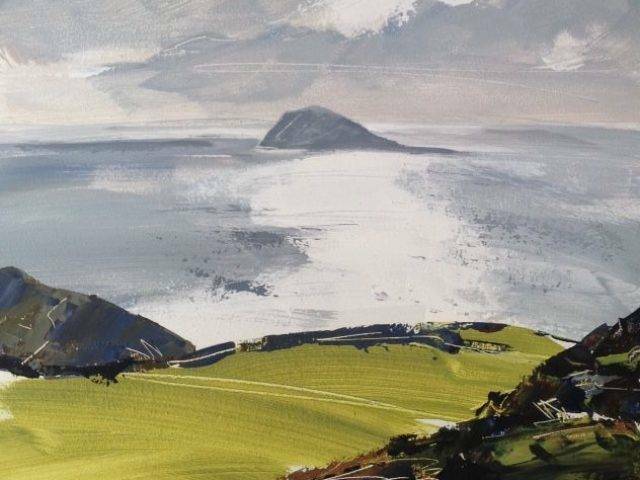 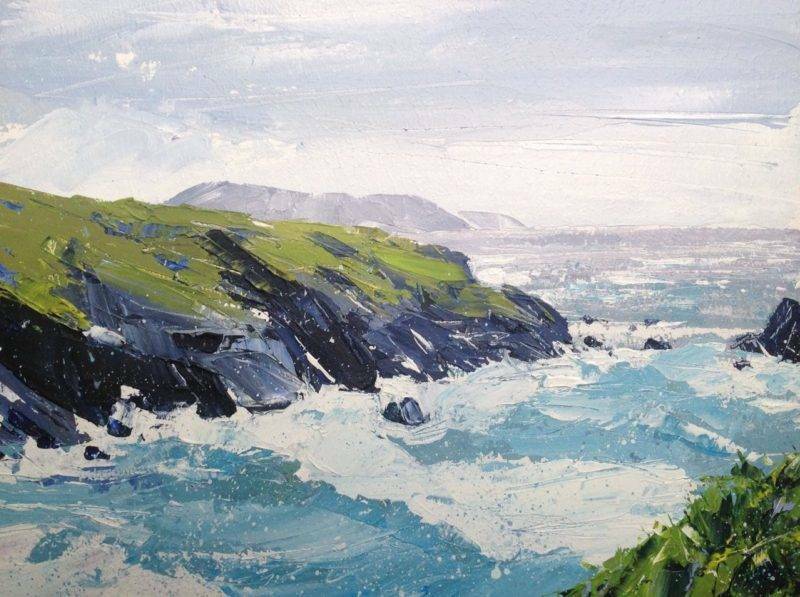 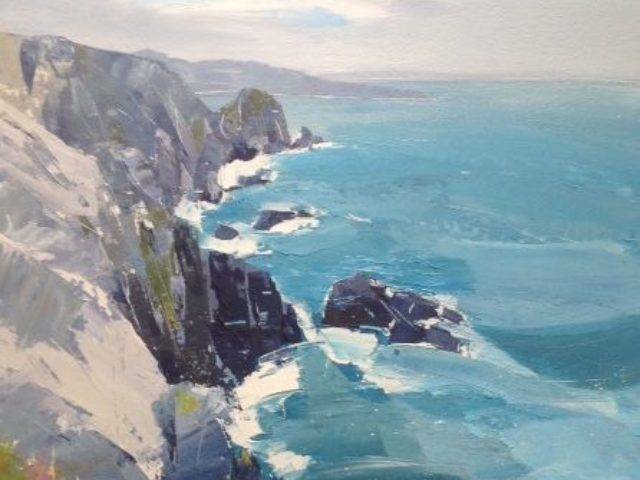 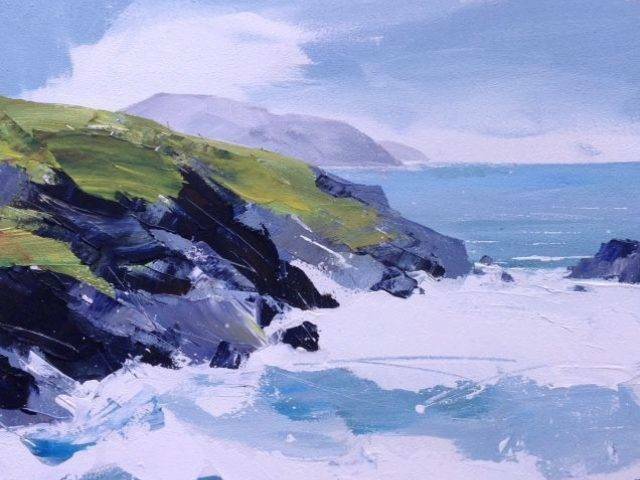 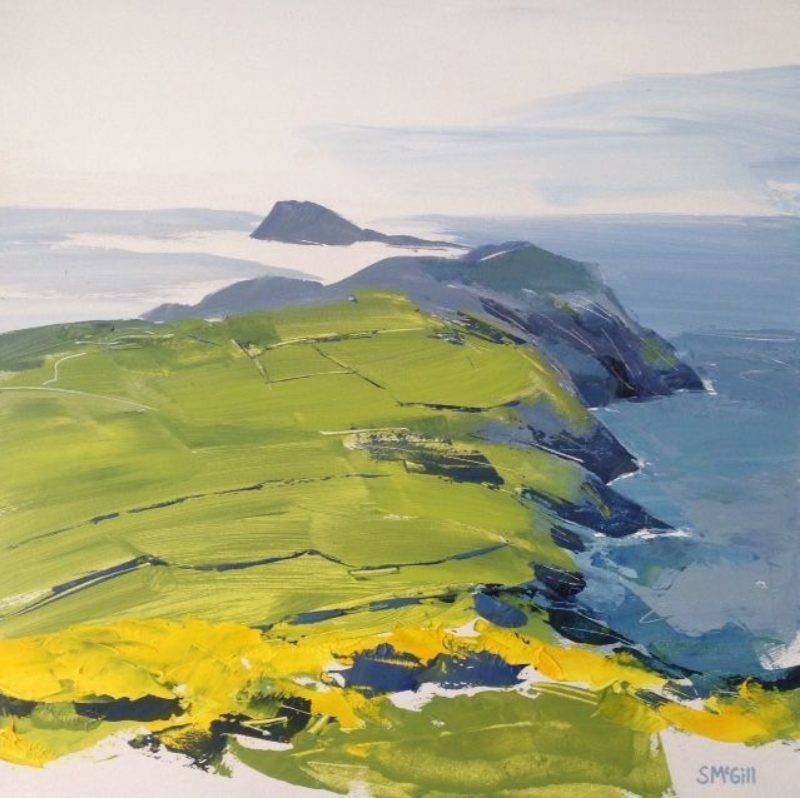 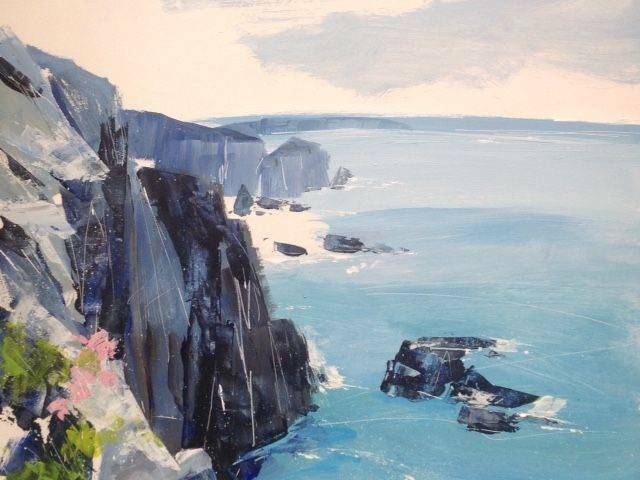 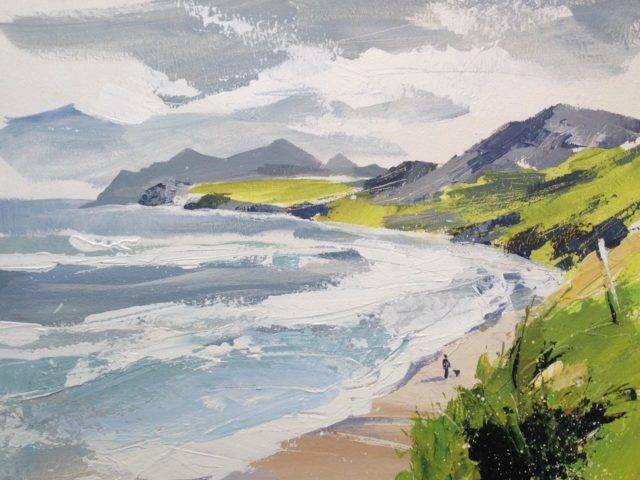 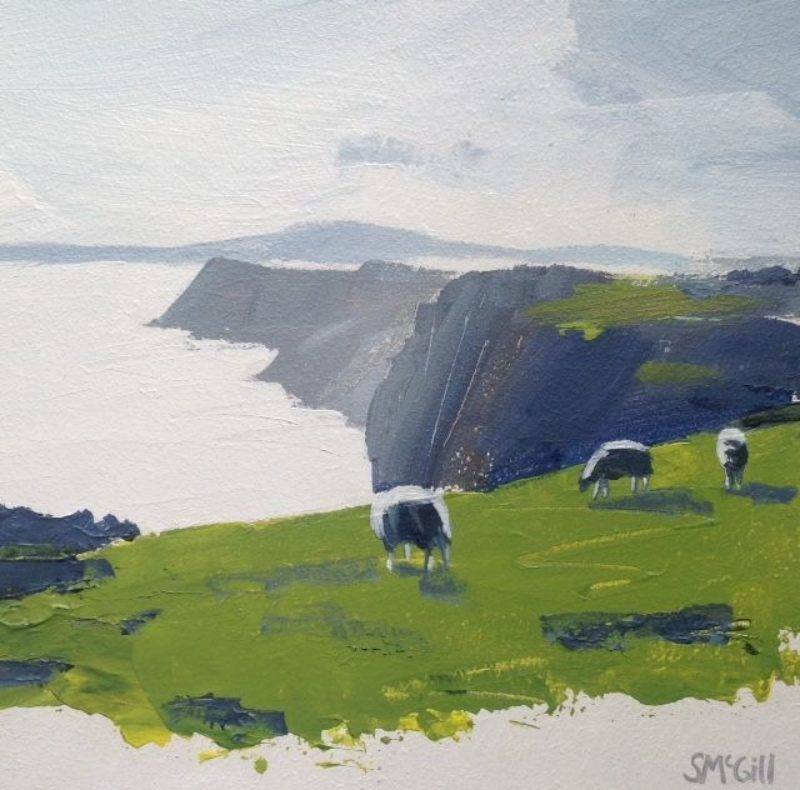 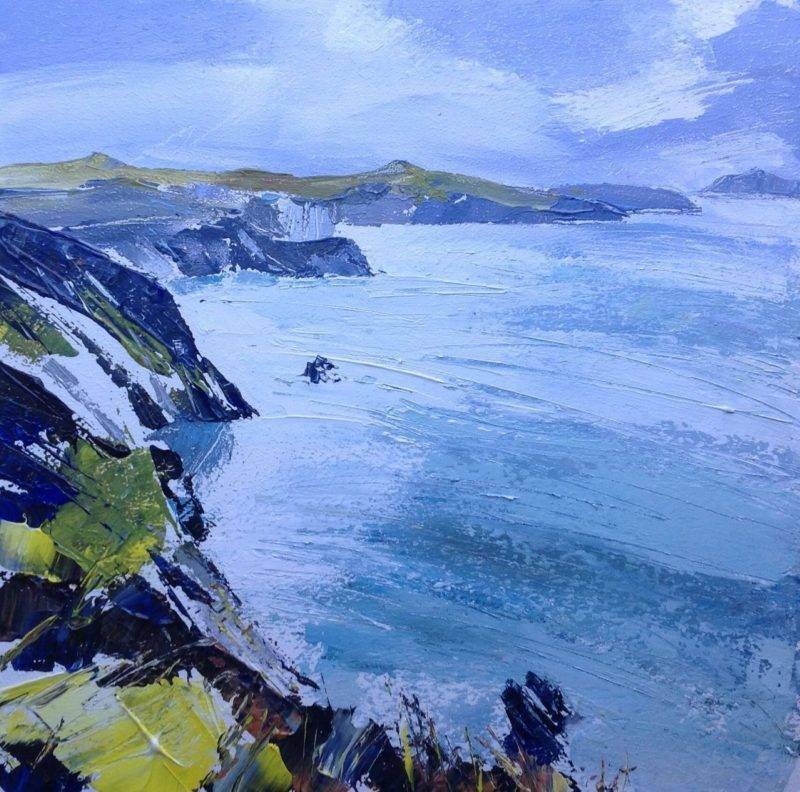 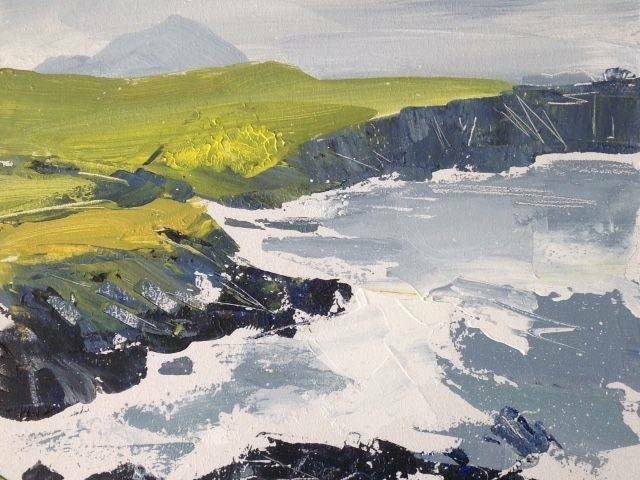 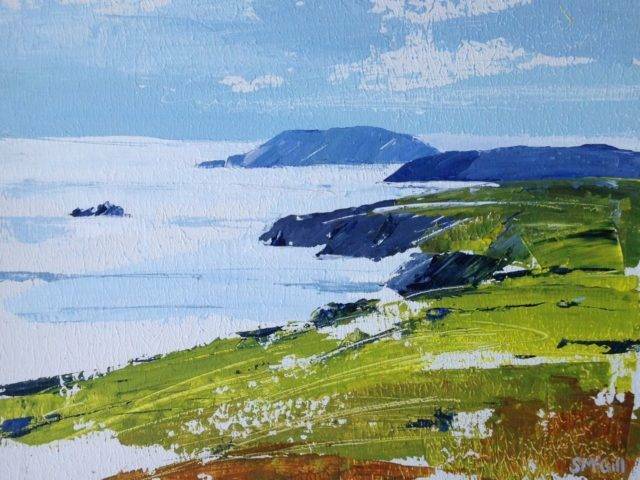 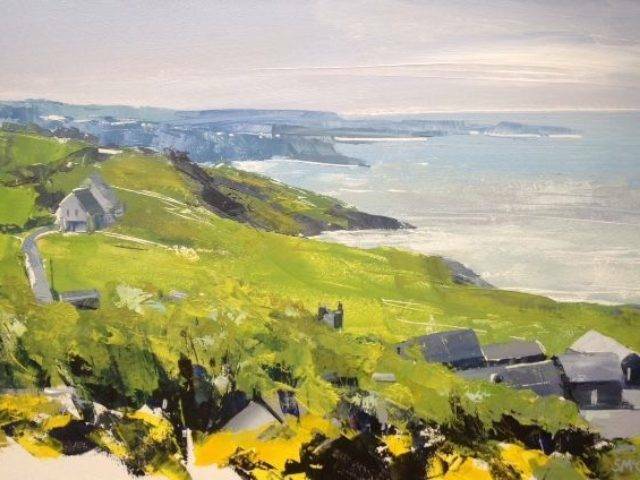 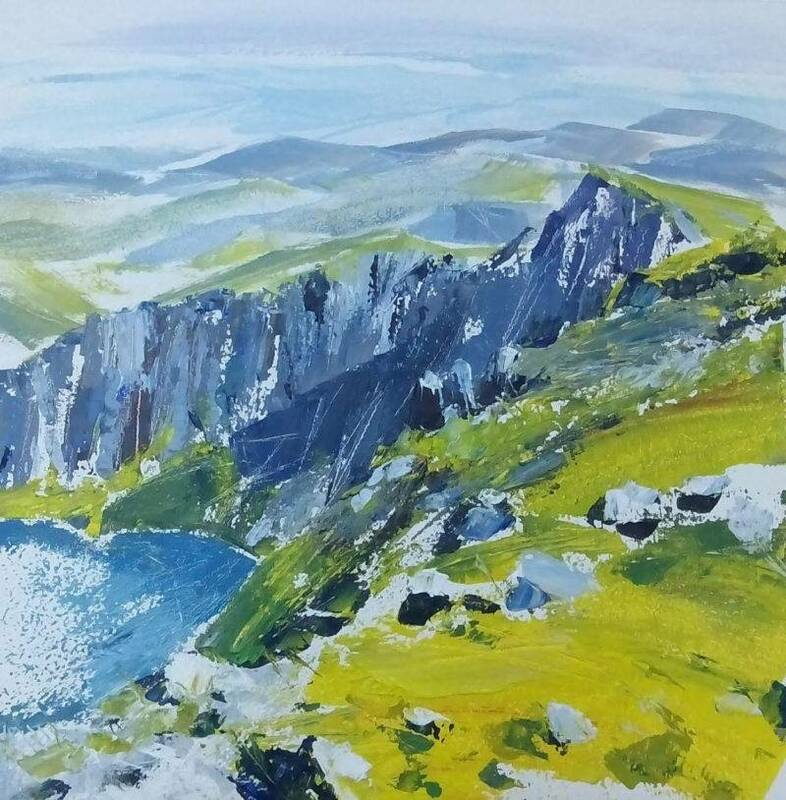 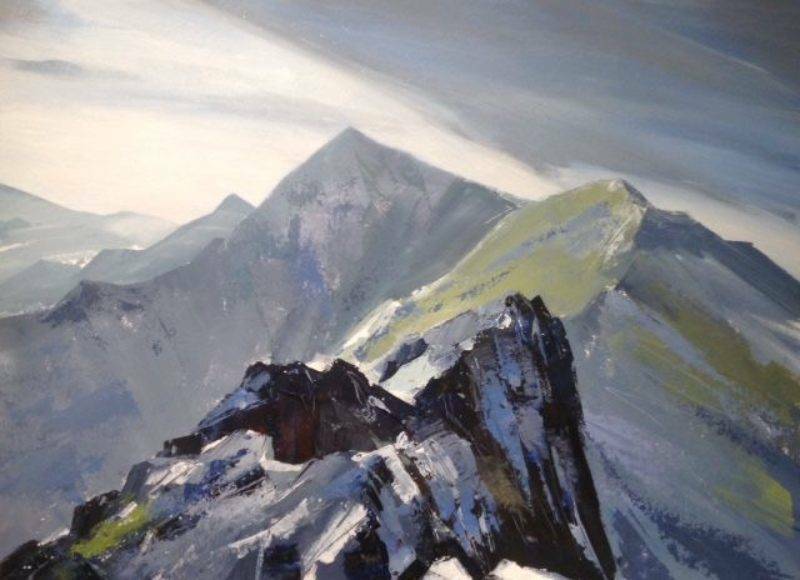 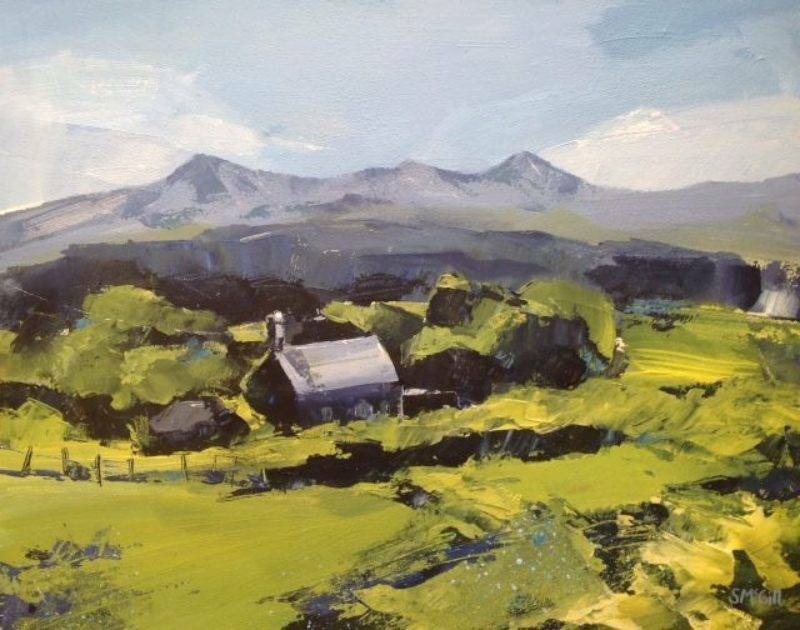 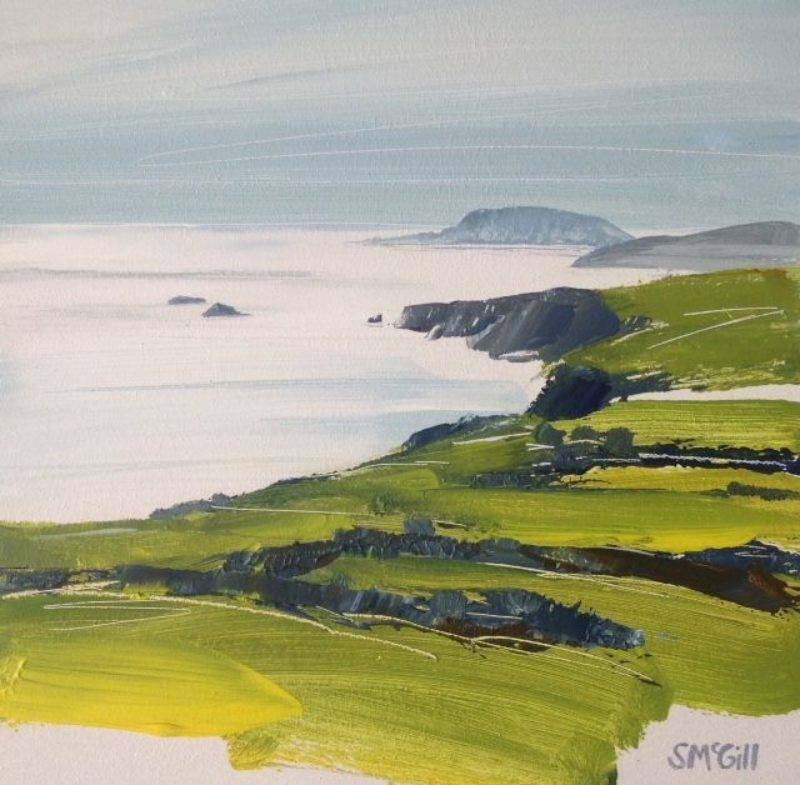 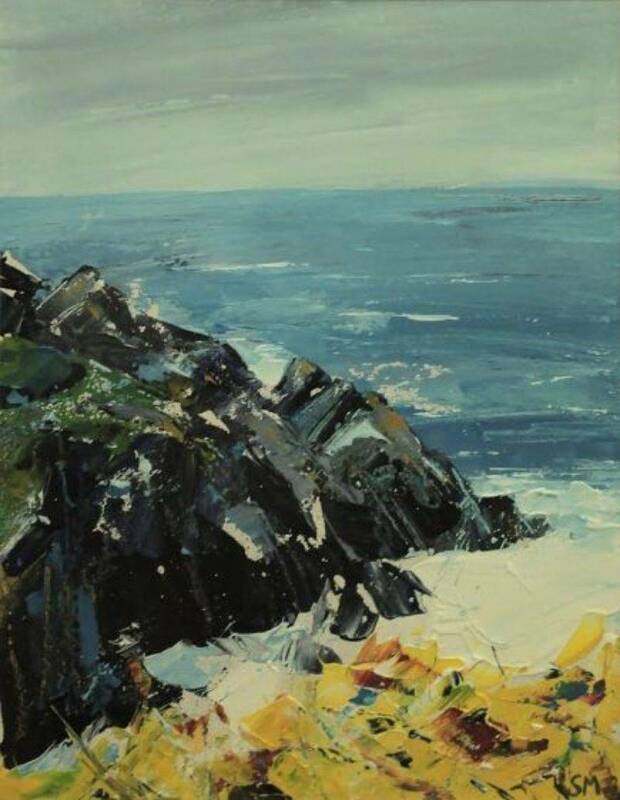 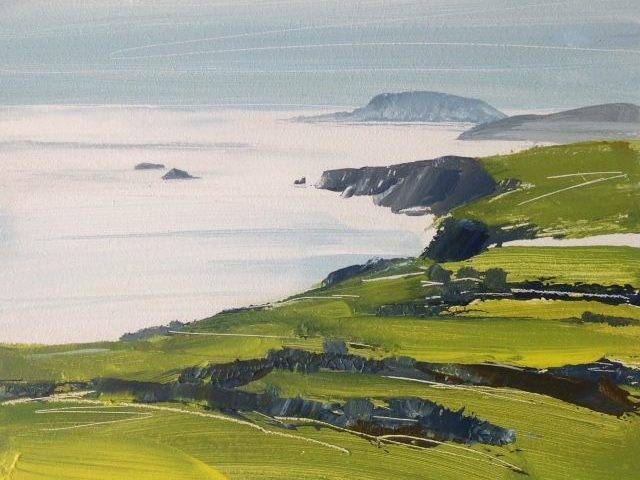 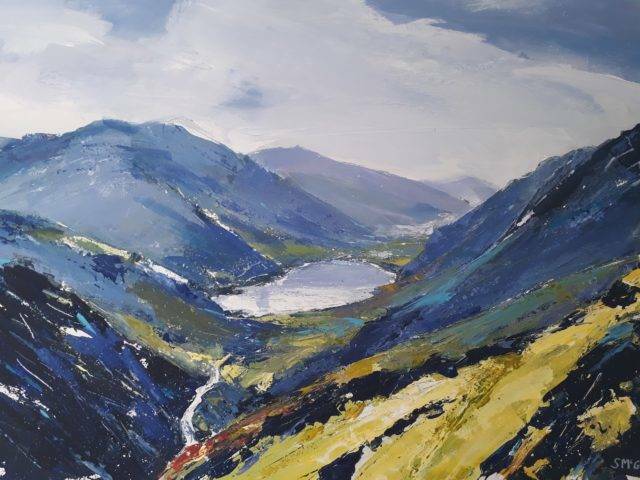 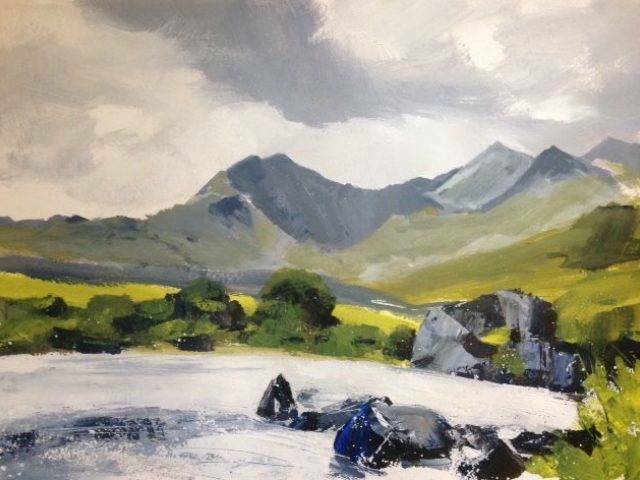 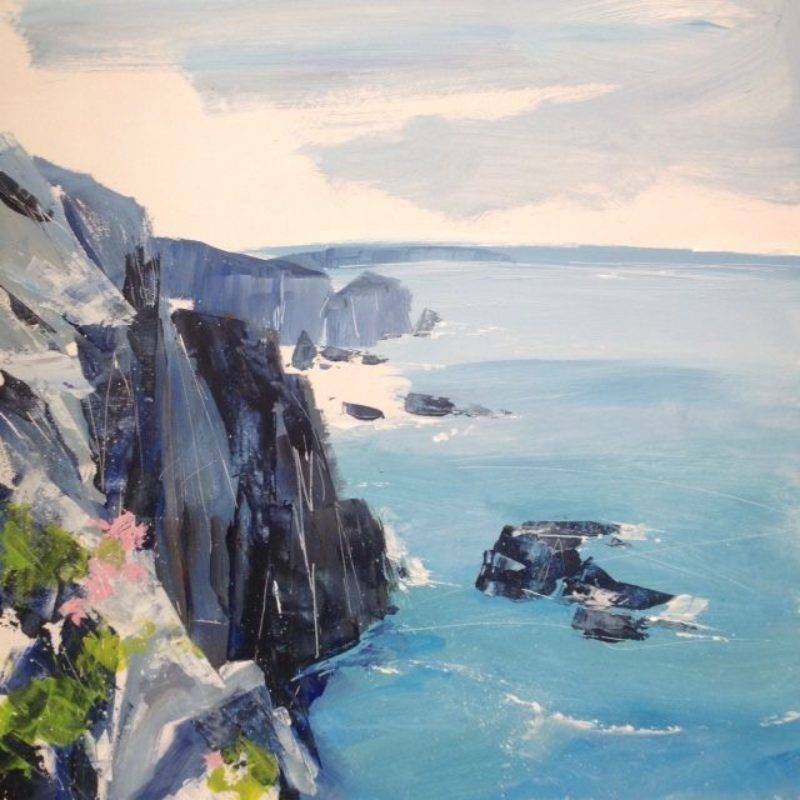 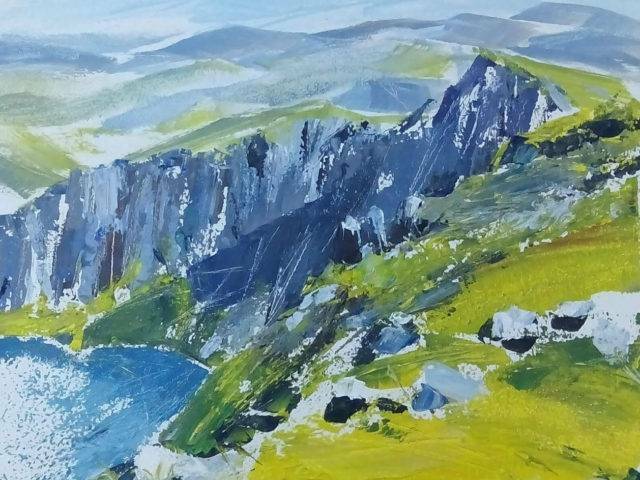 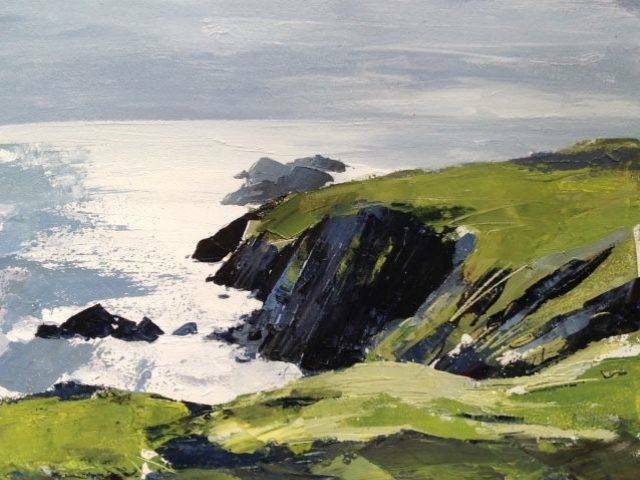 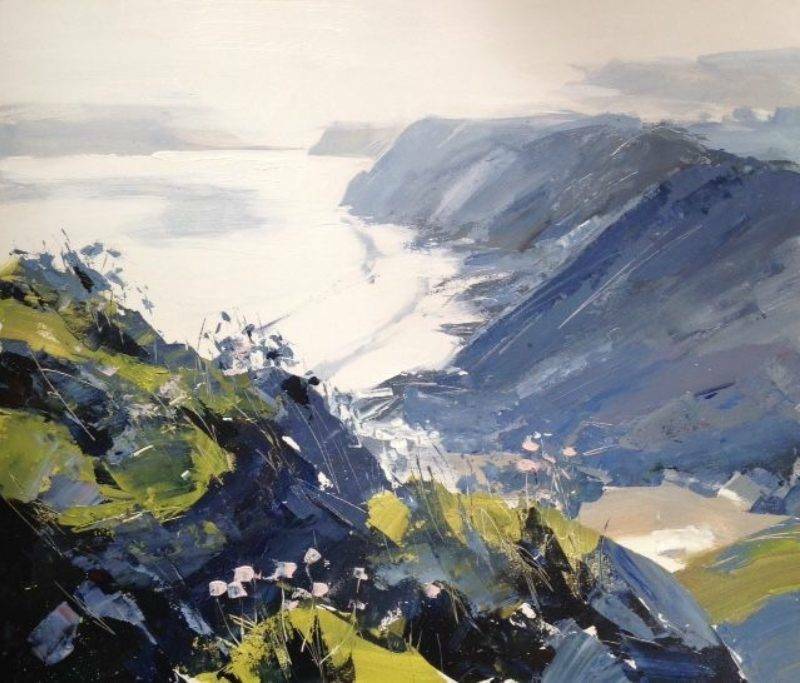 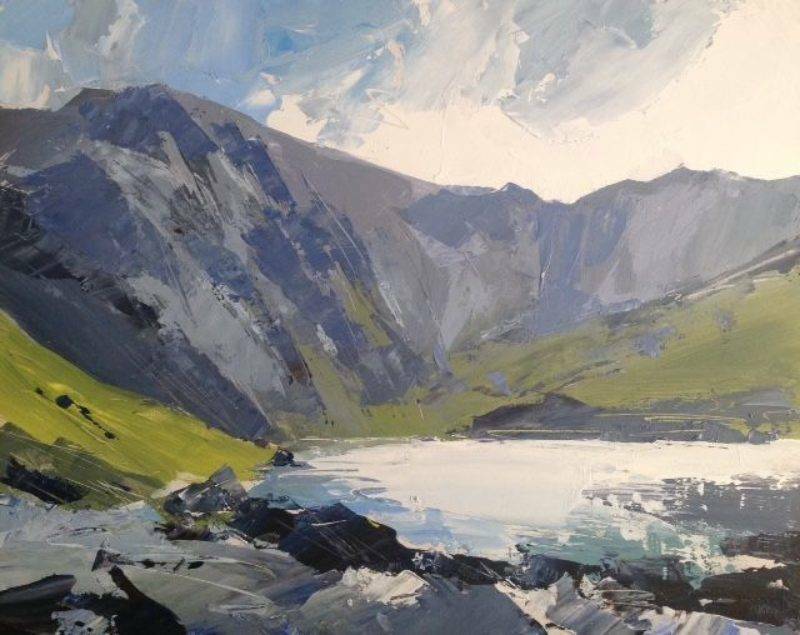 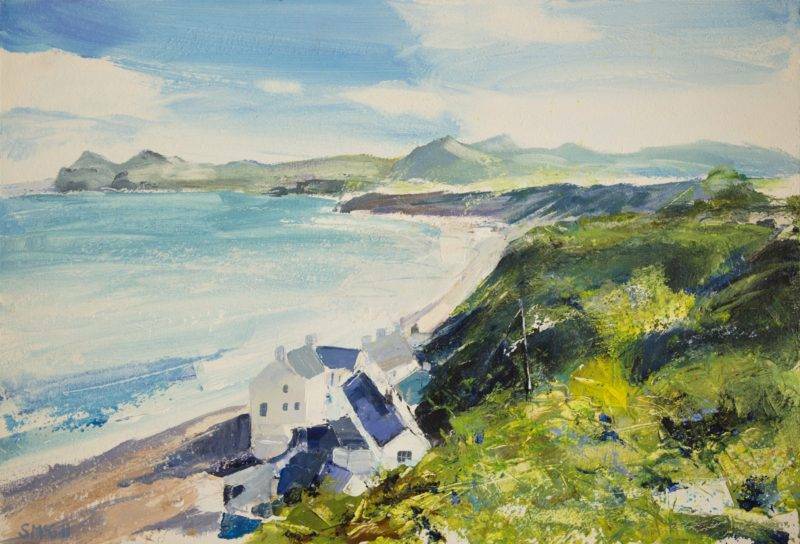 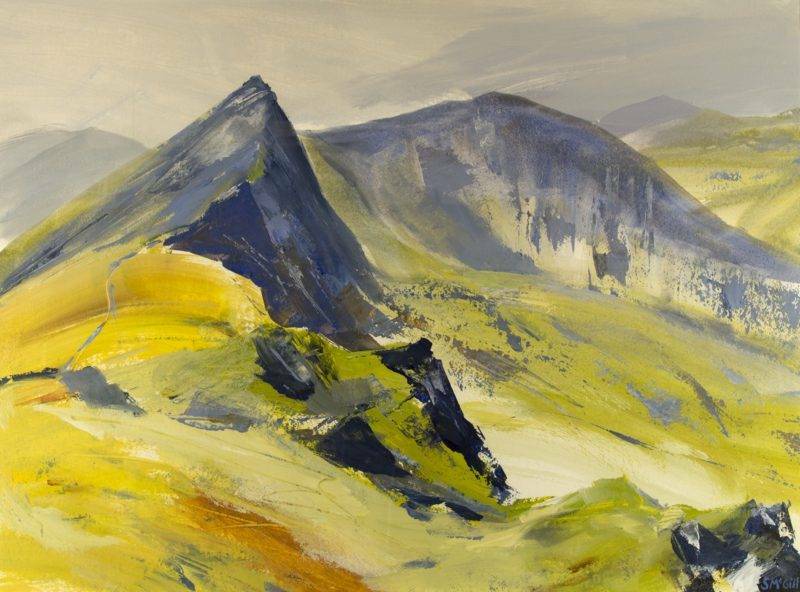 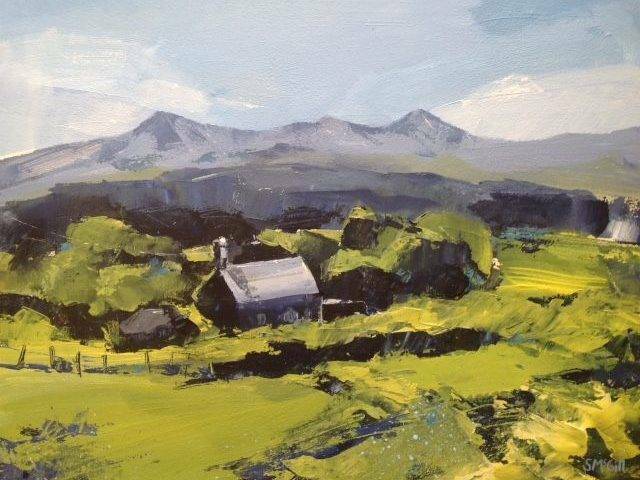 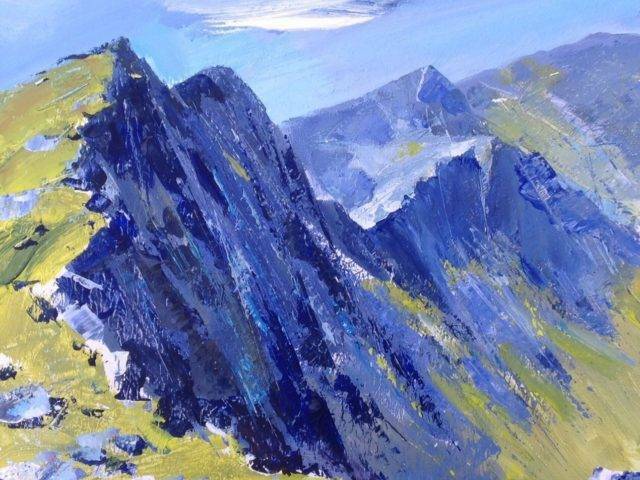 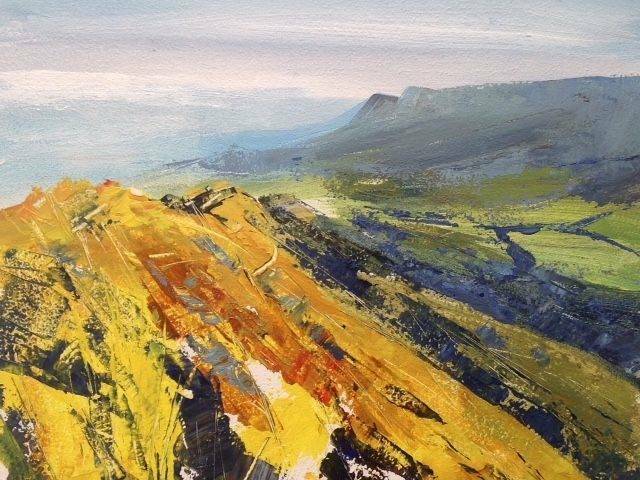 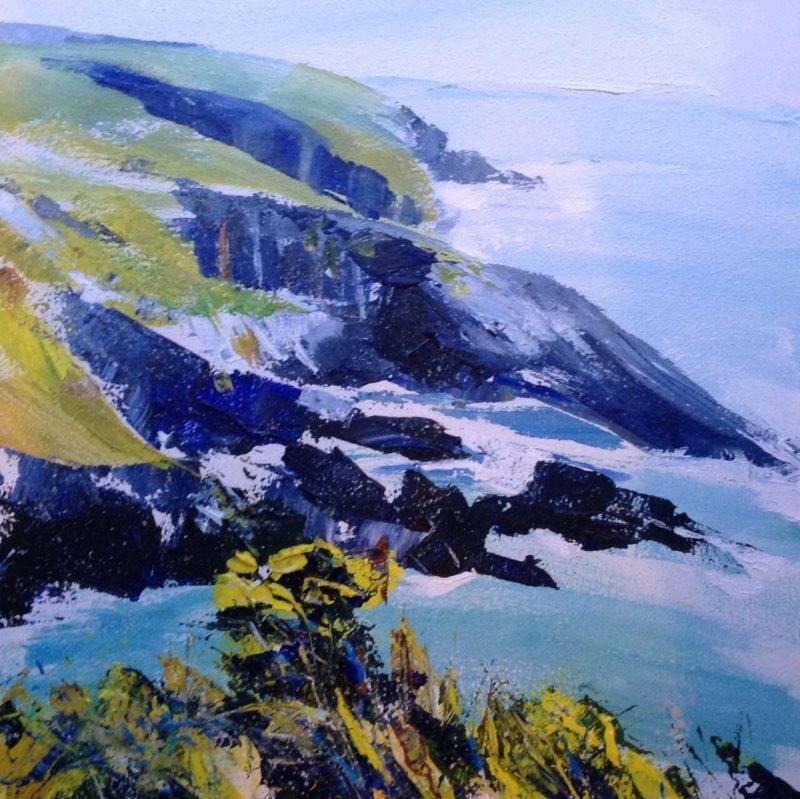 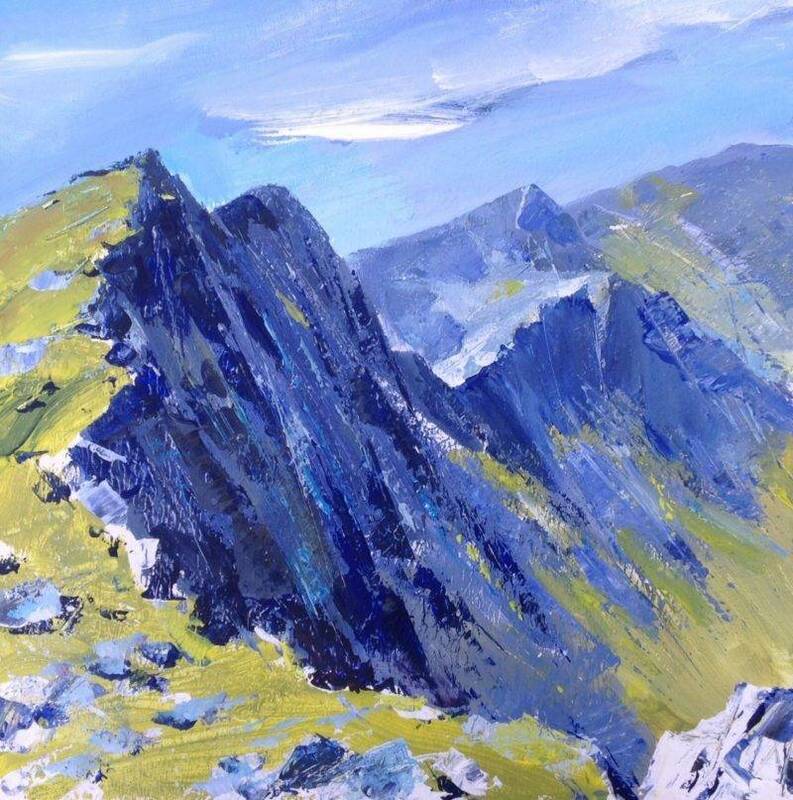 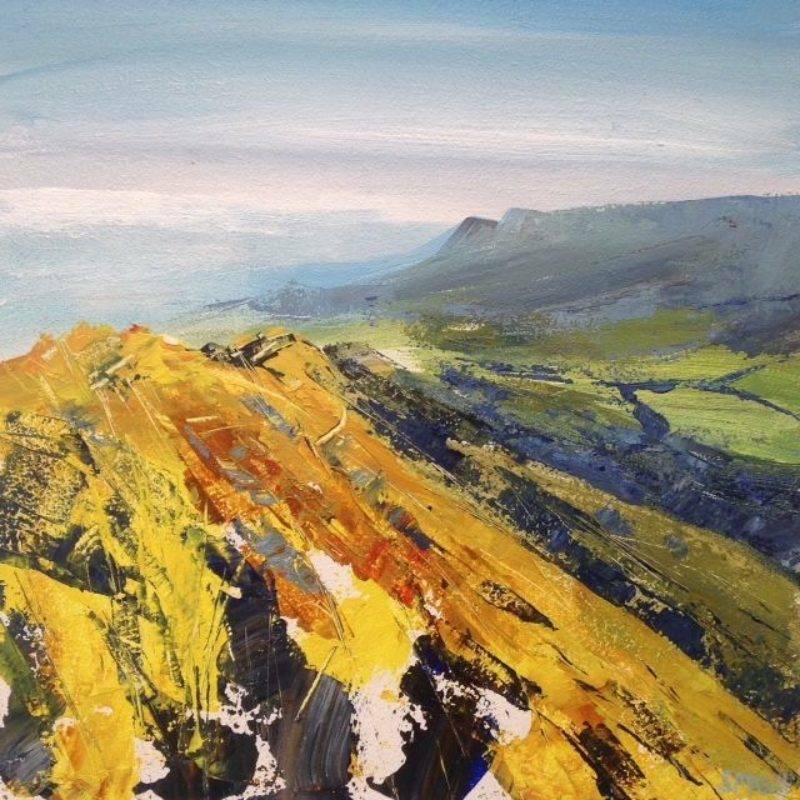 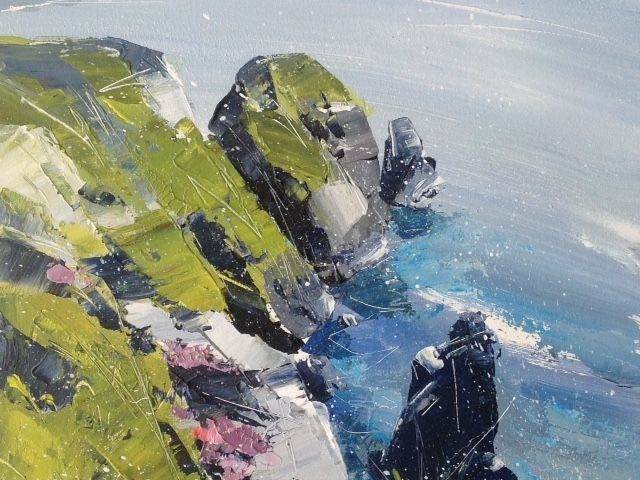 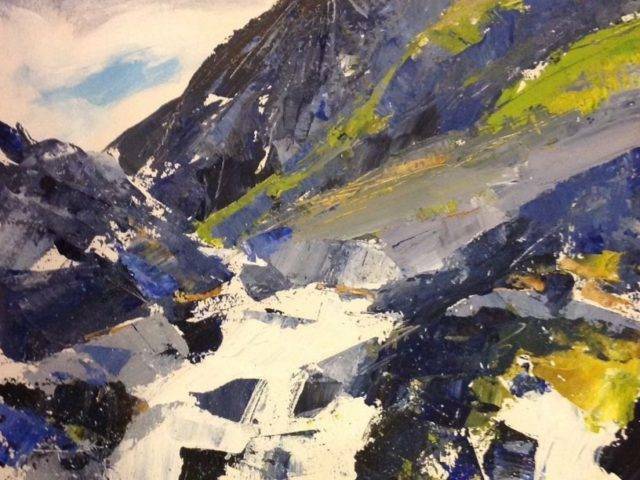 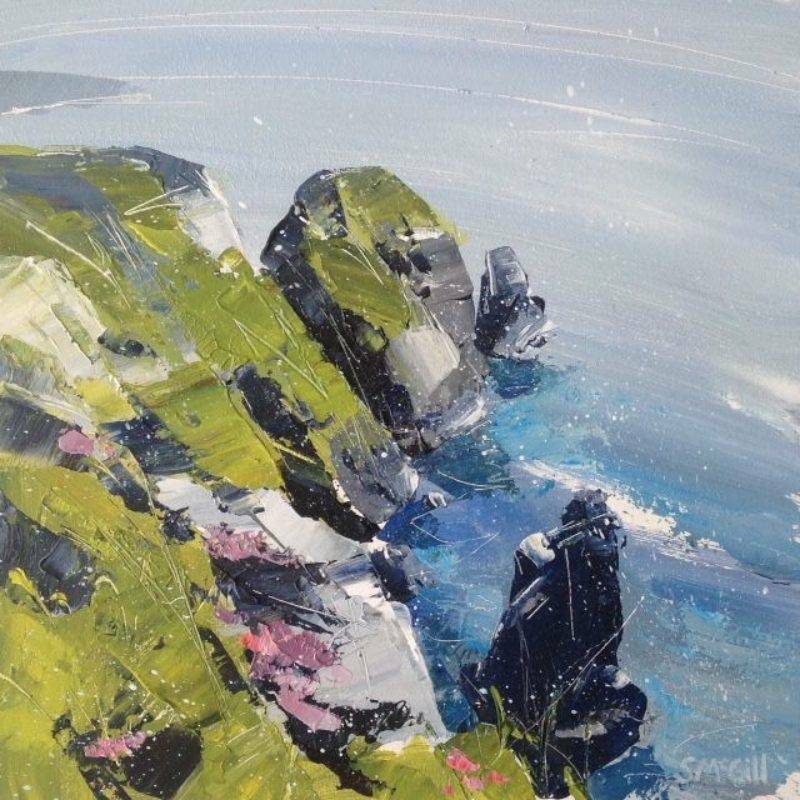 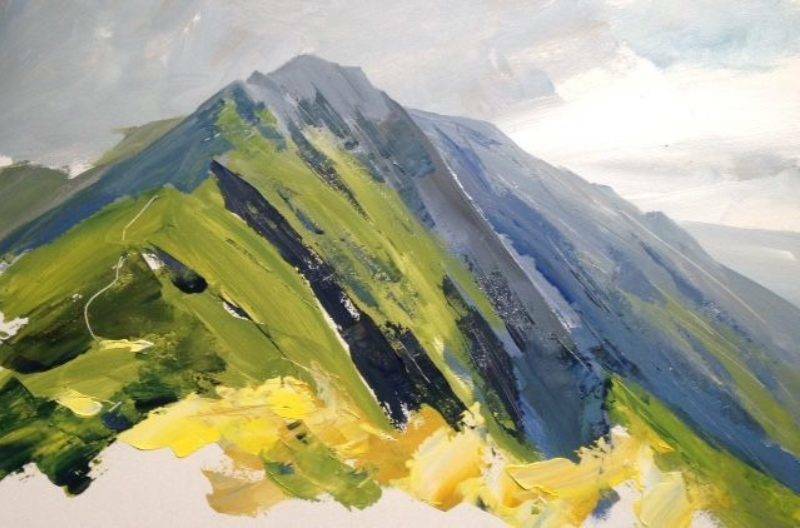 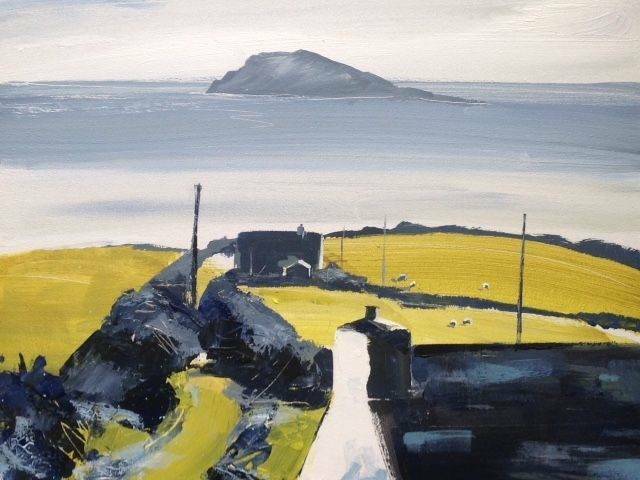 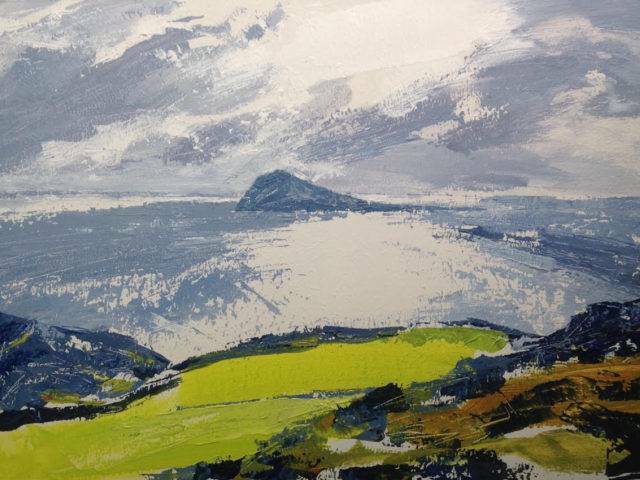 Much of her inspiration comes directly from the places where she loves to be, outdoors, enjoying the coastline and mountains of Wales. 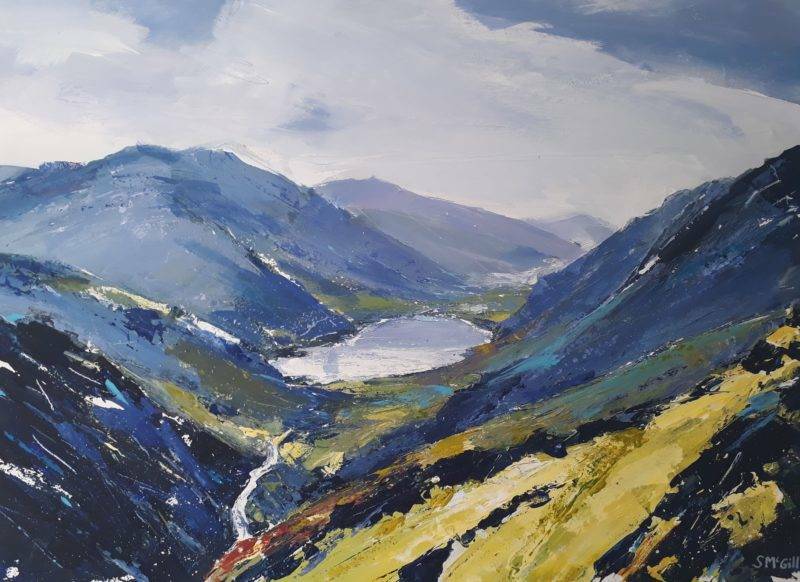 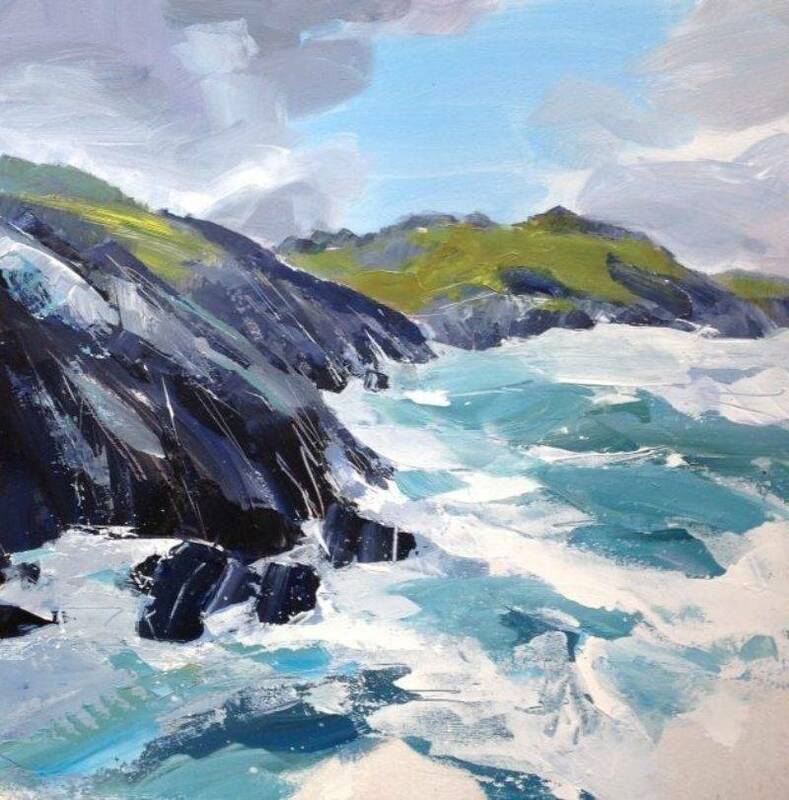 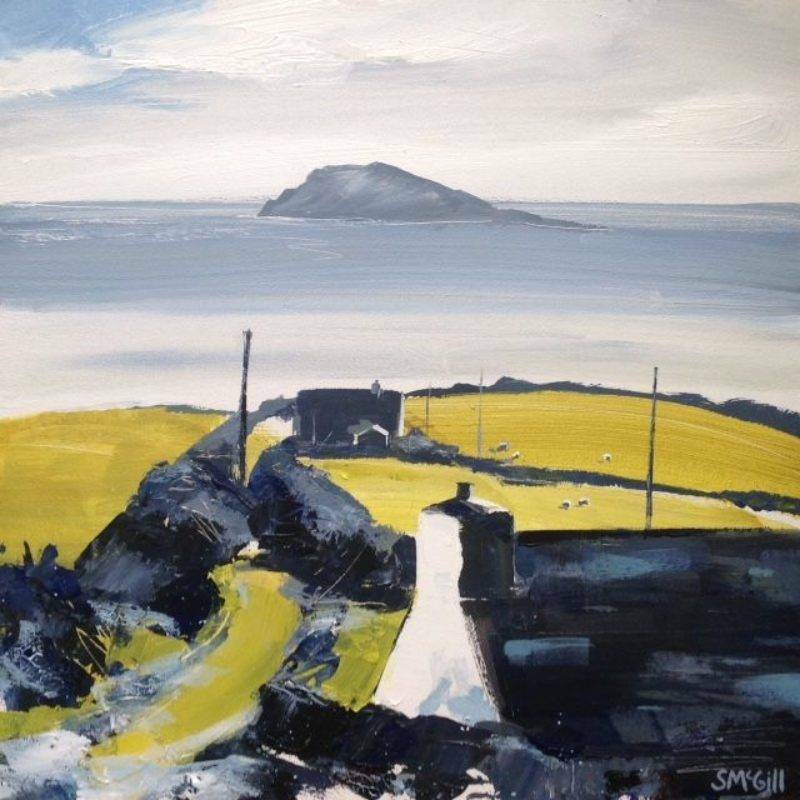 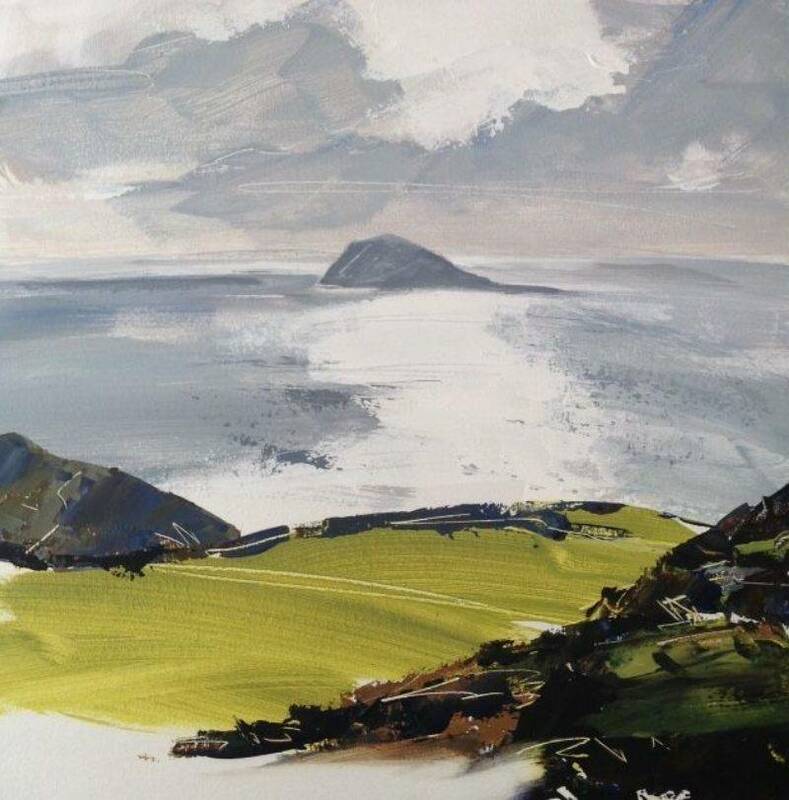 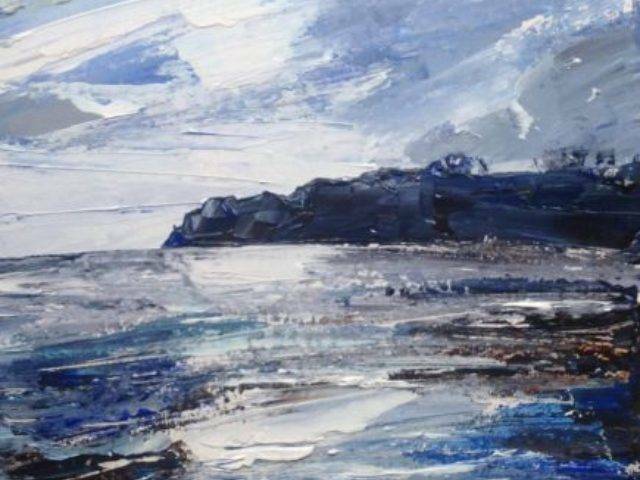 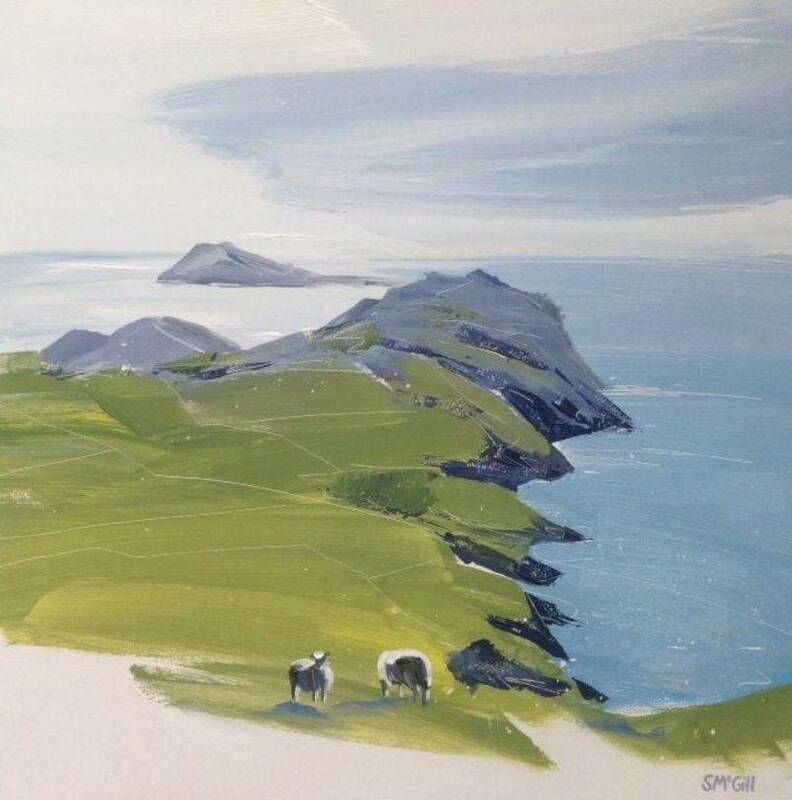 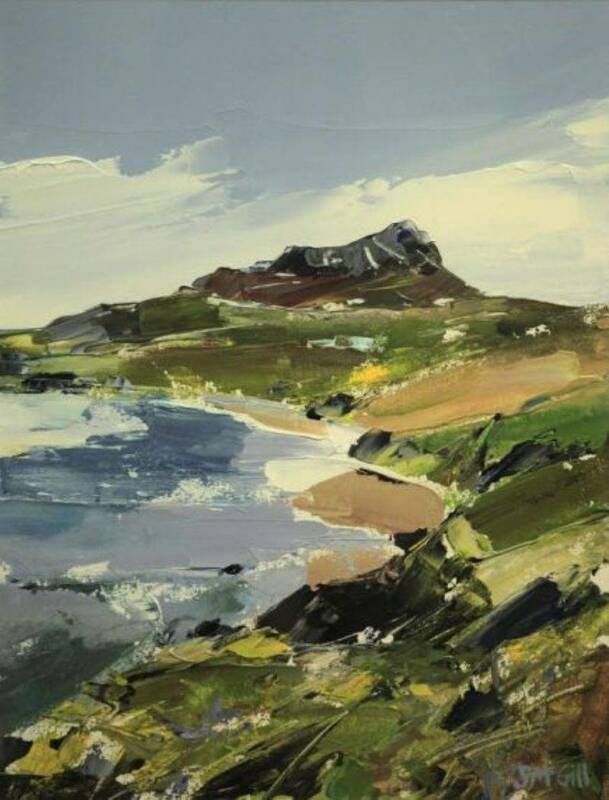 The paintings are a personal response to the landscape, endeavouring to capture something of the experience, the energy, the ambiance of a place - how it feels to be there on that day. 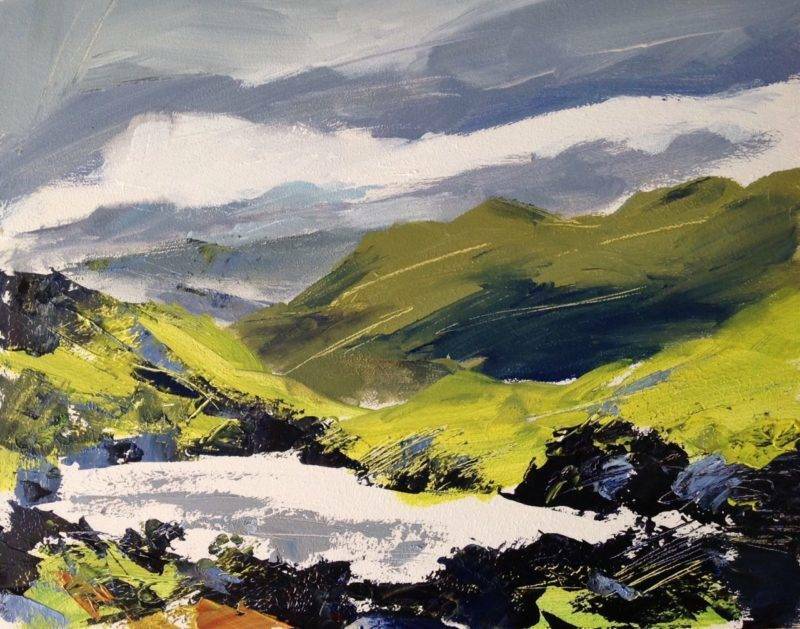 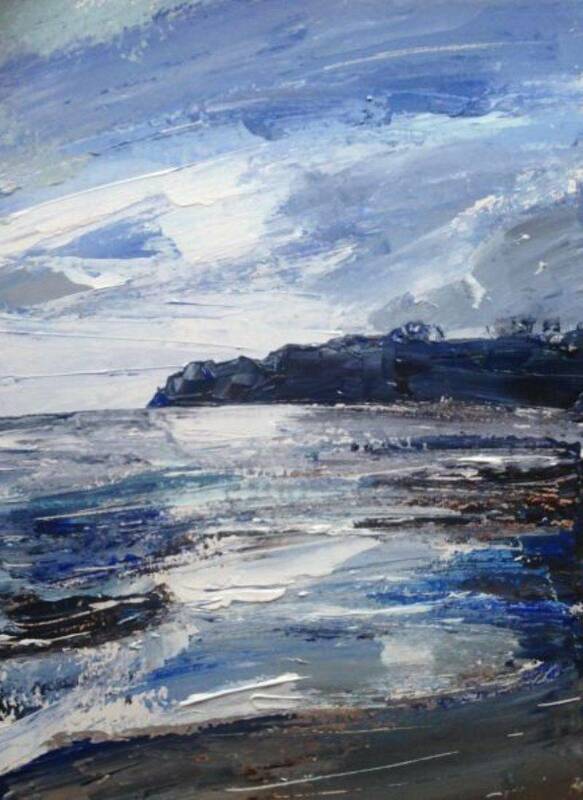 An expressive and intuitive painter, she works mostly with a palette knife but also paints with brushes, uses her fingers or whatever else comes to hand to get the desired effect. 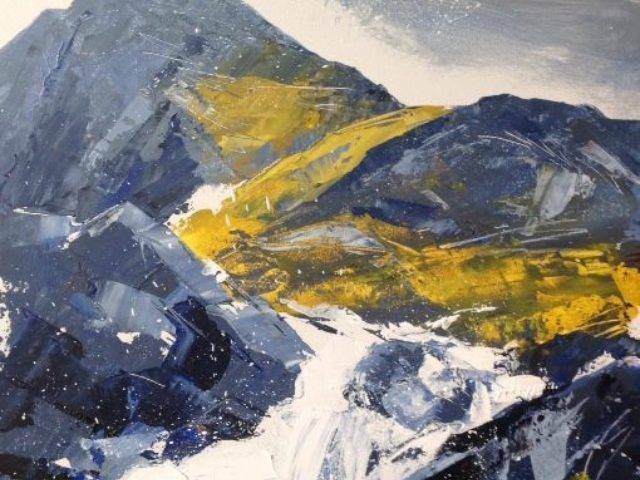 She enjoys experimenting with mark-making, colour and texture to create a variety of effects - this often leads to a degree of unpredictability, allowing the paintings to emerge almost by themselves.